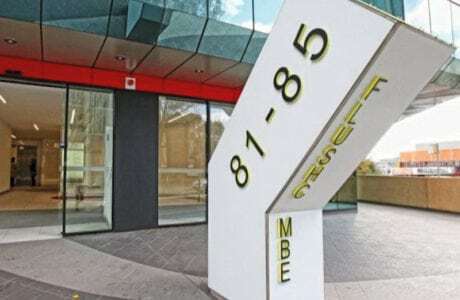 Macquarie University is located in the heart of Australia’s largest high-tech precinct, and brings together 40,000 students and 2000 staff in one thriving hub of discovery. The campus spans 126 hectares, and is almost like a mini city with open green space that gives the students and staff a sense of freedom to think and grow. The HCF Dental Network’s vision is to provide affordable, high-quality dental care. 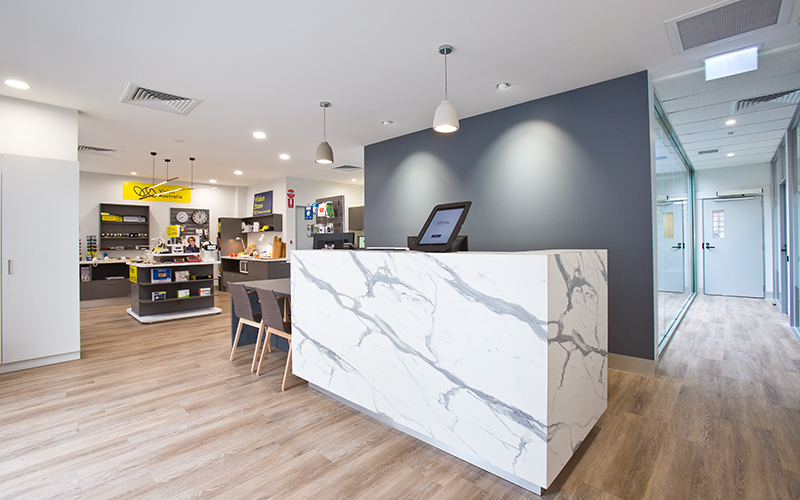 Formula has just completed their latest Dental Centre within the busy bustling Westfield shopping centre in Penrith. UNSW Law is one of the worlds top-ranking law schools and is located in the heart of Sydney. 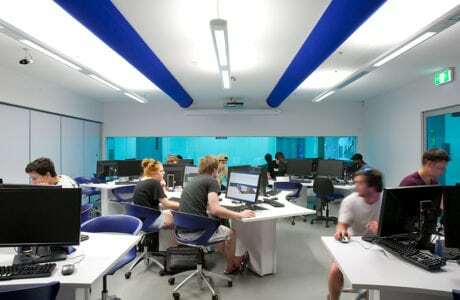 It was founded in 1971 as a superior legal education choice. 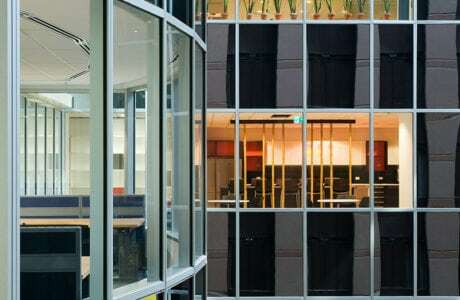 Formula was engaged by UNSW to transform level 2 of their F8 Law building with the intention of achieving the best possible environment in which to succeed. 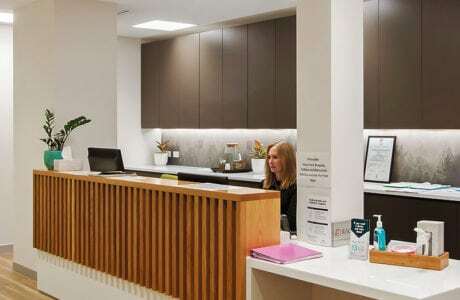 Herstellen Clinic is located in Spring Hill on the edge of Brisbane’s CBD and provides non-surgical cosmetic treatments to its clientele. 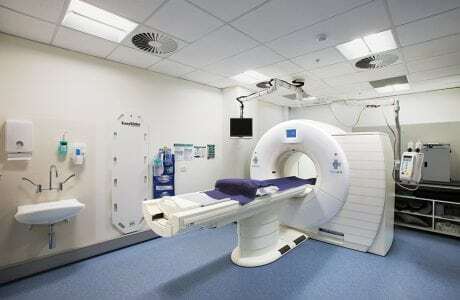 Built for both luxury and comfort, the clinic is fully equipped with all the latest technology. 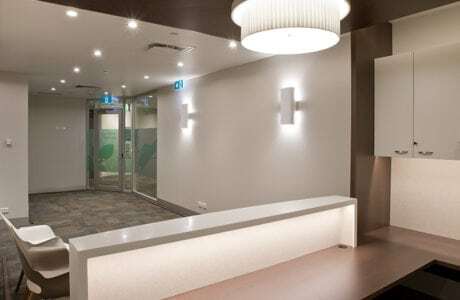 Vision Australia provides support services for people suffering a range of vision impairment conditions, their support networks, and medical practitioners, so naturally this fitout was fully compliant with DDA (Disability Discrimination Act) access requirements. 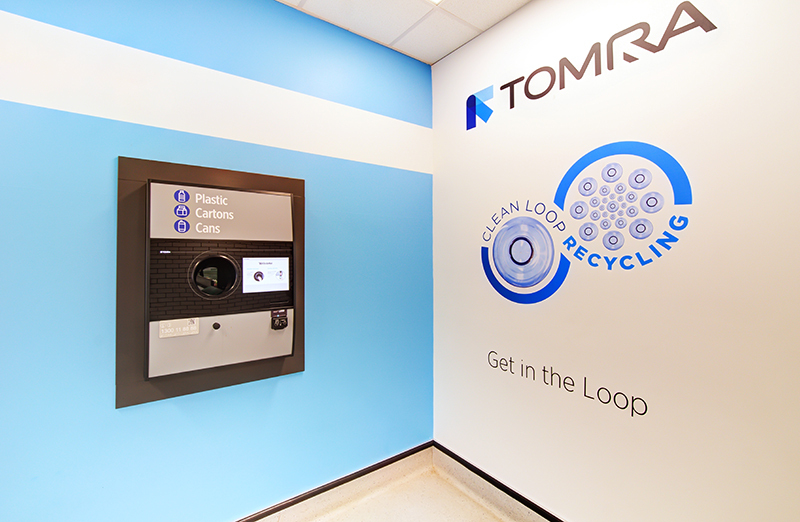 The introduction of the Queensland Government’s state-wide container refund scheme “Containers for Change”, saw Formula take on the delivery of a multi-site D&C fitout project for Norwegian headquartered, global recycling leader TOMRA Collection Solutions. 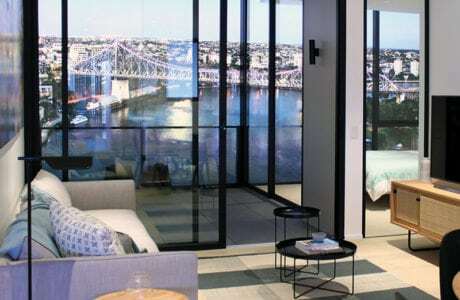 Delivered in and around Brisbane, Ipswich, Toowoomba and the Gold and Sunshine Coasts, simultaneously within 5 weeks – the 10 sites were all scheduled to launch on the same non-negotiable launch date. 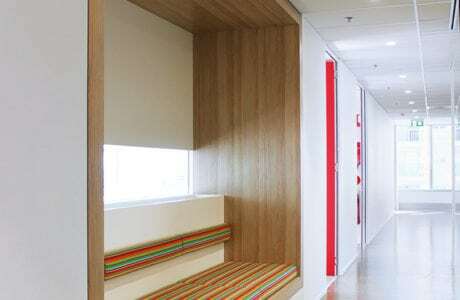 Acknowledge Education’s brand-new Melbourne City campus is a specially designed and visually stunning environment that will make study an exciting and engaging experience. 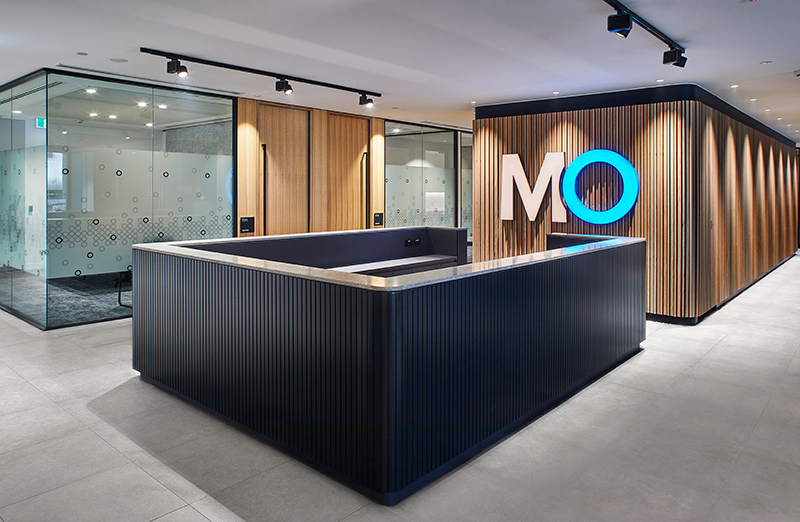 Mills Oakley, a leading national law firm has relocated their Sydney office to the newly built Barrack Place on Clarence Street, occupying five floors of the new A-grade next-generation office tower. Mills Oakley’s Sydney operation now has 250 partners and staff and is now the firm’s largest office nationally. Formula is proud to once again be part of this national project that forms part of a 200 strong rollout of tenancies as part of the National Disability Insurance Scheme (NDIS). 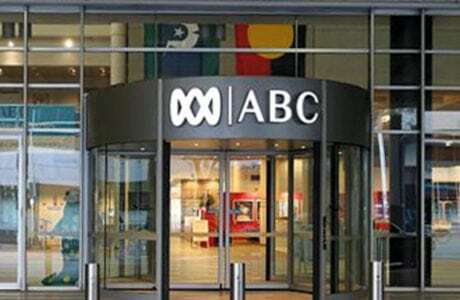 The iconic Australian Broadcasting Corporation required a fast turn around refurbishment to Level 13 of their ABC Ultimo Centre in the heart of Sydney. The NDIS is rolling out across Australia. 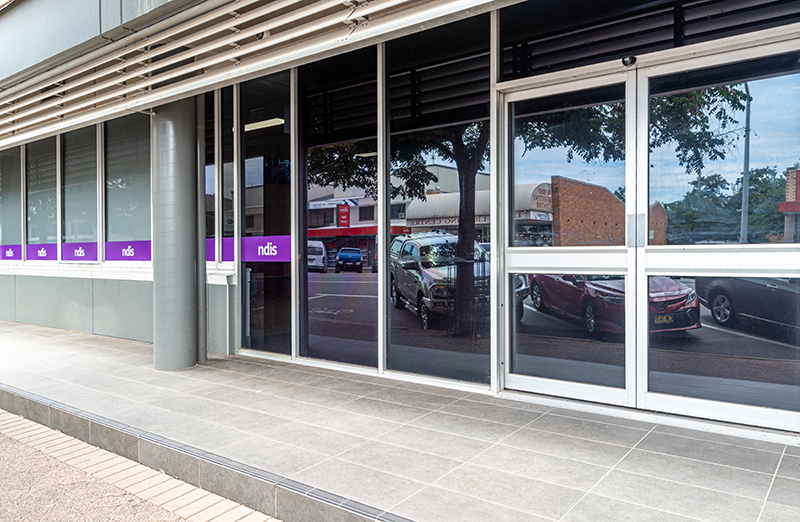 Formula is proud to be part of this 200 strong rollout of tenancies once again and deliver a new regional office in Dubbo, which is located 388 km north-west of Sydney. 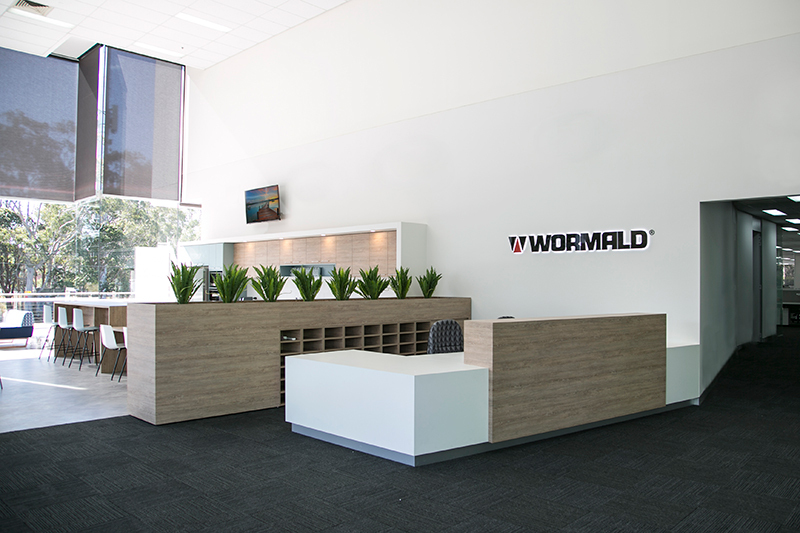 With Wormald’s ever-evolving progression, the need arose to relocate their headquarters in Sydney to a brand new location at Homebush, with the intention of being closer to customers. 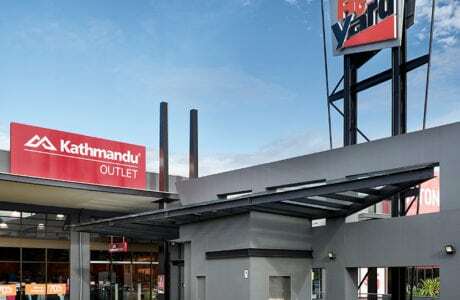 The new location offers the perfect mix of modern amenities, local transport routes, ample parking, and warehouse space. An exciting move for the ADF to their newly refurbished offices located on Level 6 at Cathedral House. 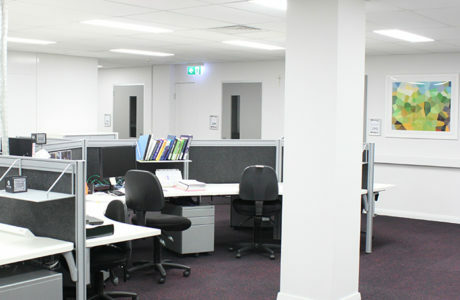 The relocation was initiated to help provide a more centralised location for the Archdiocesan Departments. 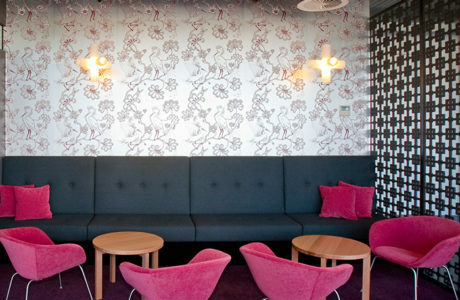 This regal high-end fitout was proudly delivered by Formula Interiors, completed within a tight time frame of 8 weeks. 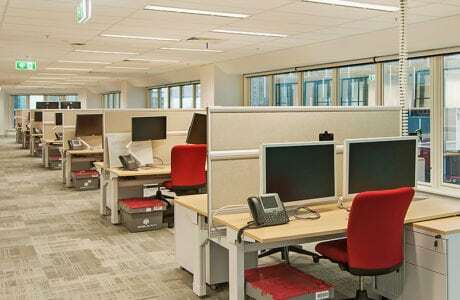 Australia Post’s expansive call centre in Brisbane was in need of rejuvenation- The intention was to refurbish and refresh their existing tenancy to provide a more comfortable and modern work environment for staff. Eastern Health’s mission is to ‘Provide positive health experiences for people and communities in the east.’ They endeavour to provide health care of the highest quality that equitably meets the needs of the individual and the community. The provision of the highest quality goods at the best value for money is an integral part of this mission. 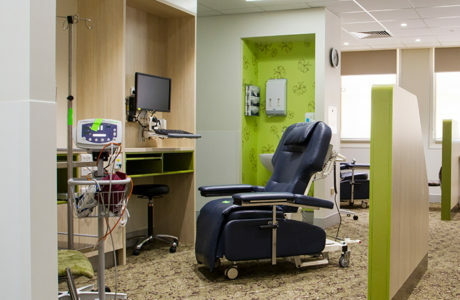 One of Australia’s busiest hospitals, The Alfred provides specialised services and care for Victoria’s most complex patients. 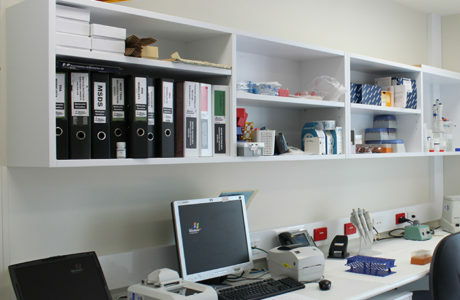 Formula is proud to have built the Alfred’s new "Vascular and Sleep Clinic" within the main footprint of the hospital. 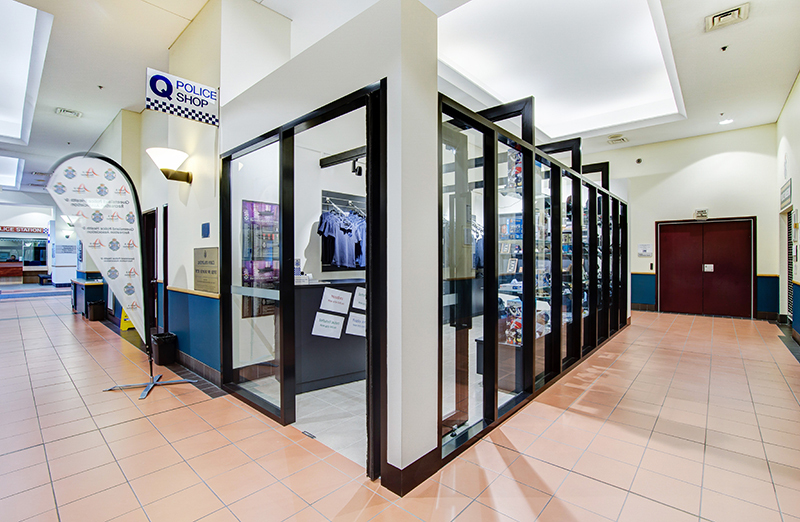 Formula was assigned the task of building the new Q Police retail shop, located just inside the entrance on the ground floor of Police Headquarters, 200 Roma Street, Brisbane. Another successful staged project was performed by Formula Interiors to refurbish the existing tenancy of the Commission for Children and Young People. 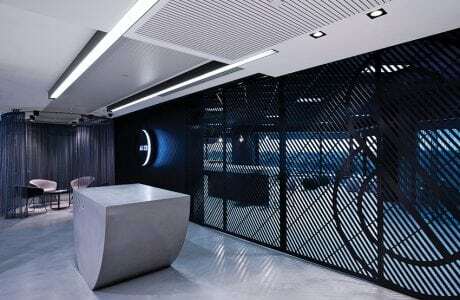 Located in busy Bourke Street, in the heart of Melbourne’s CBD. 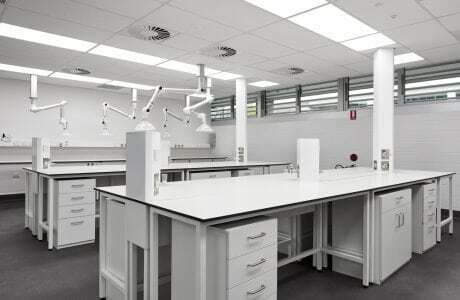 Formula was engaged to rejuvenate the existing medical teaching space at ACU. 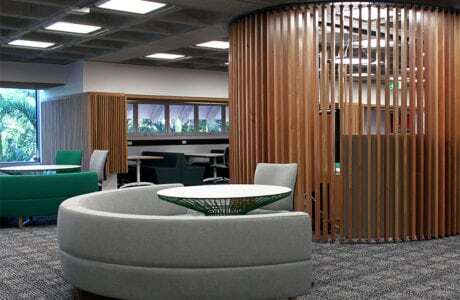 This required a complete strip out of existing tenancy back to a ‘cold shell.’ With a view to creating new meeting rooms, lecture rooms, staff breakout area, and general office space. 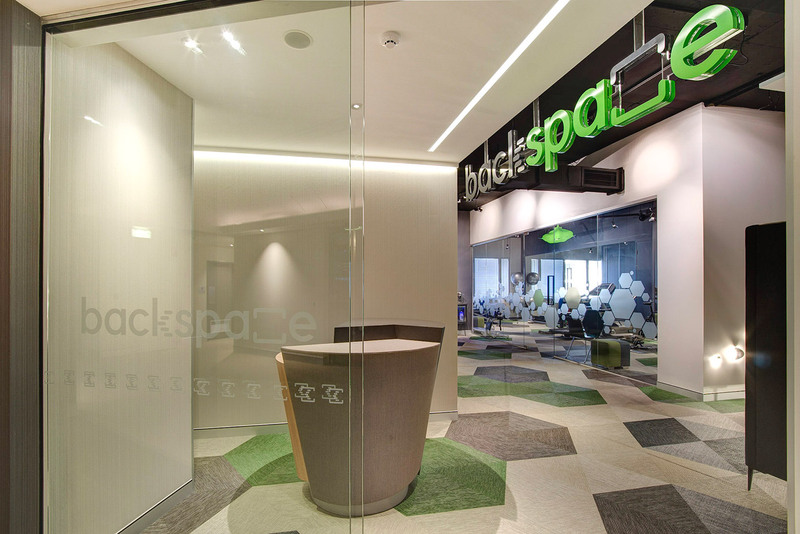 Formula has produced the new Backspace Clinic within the Spinehub suites of Brisbane Private Hospital. 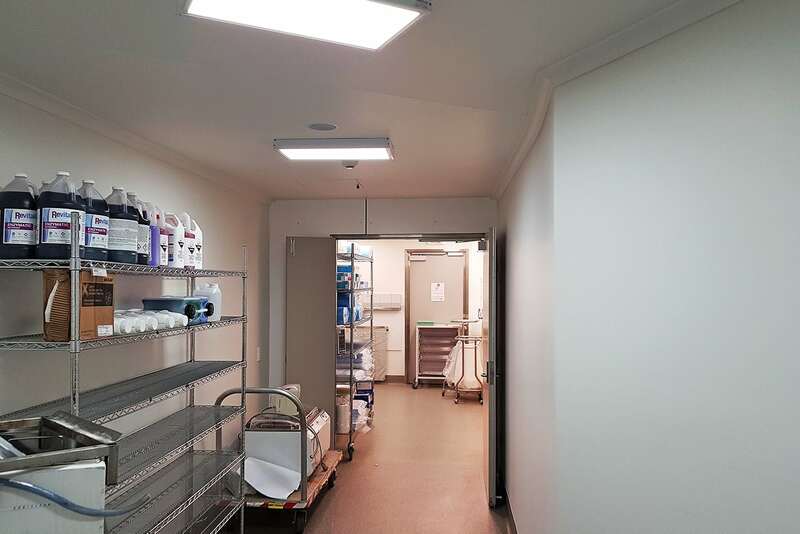 As part of the solution to continue to offer the essential services of the Sunnybank Private Hospital’s Central Sterilisation Services Department (CSSD) whilst the refurbishment of the existing unit in the live 24/7 environment of the hospital got underway, Formula has delivered a fully functioning mobile, temporary CSSD unit. 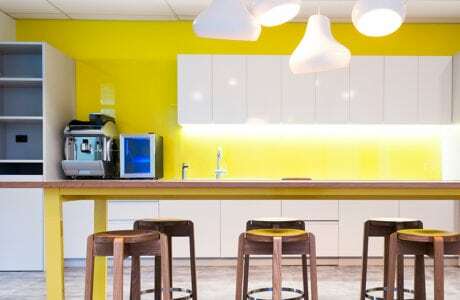 The client’s goal was to create a complementary though totally updated space to their headquarters located on the ground floor of the building, which had been created by Formula some years earlier. 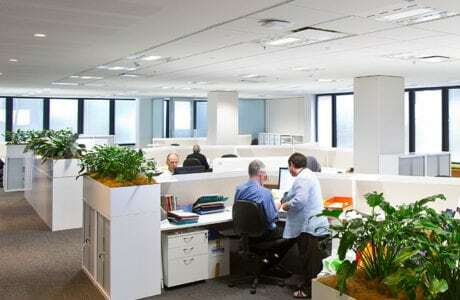 Sydney Trains planned an exciting relocation and wanting to move their staff from the CBD to Burwood, for which they needed to refurbish the office space to meet their new business requirements. 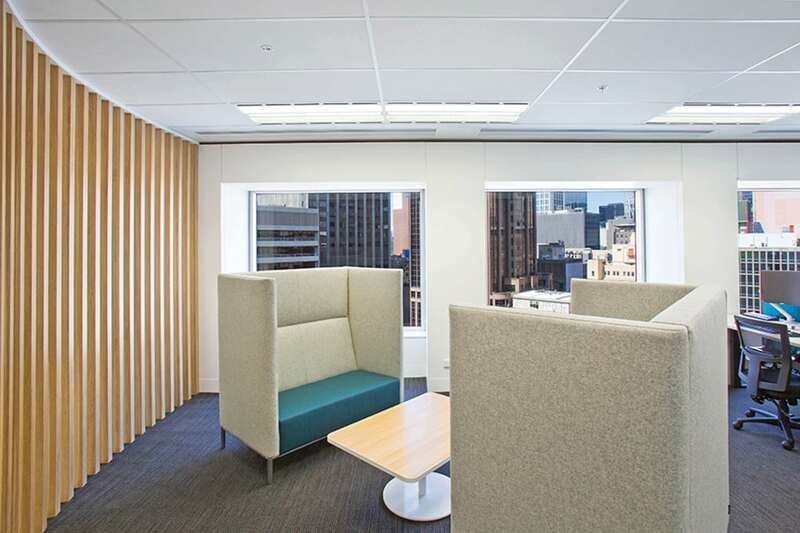 Dimensional Funds Australia, a large financial advisory firm, investing in their future driven need for a more flexible work environment to accommodate their growing number of team members, engaged Formula to deliver their new office refurbishment. Established in 1979, BCPI has grown to be one of the largest specialist periodontal practices in the country. 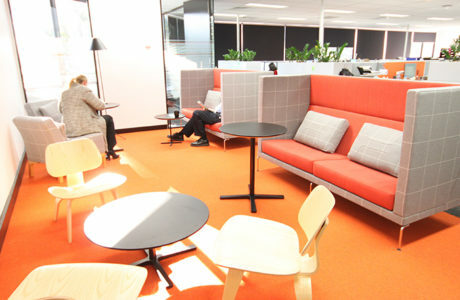 EML is a national entity which engaged formula to deliver their new updated offices within the busy CBD of Melbourne. 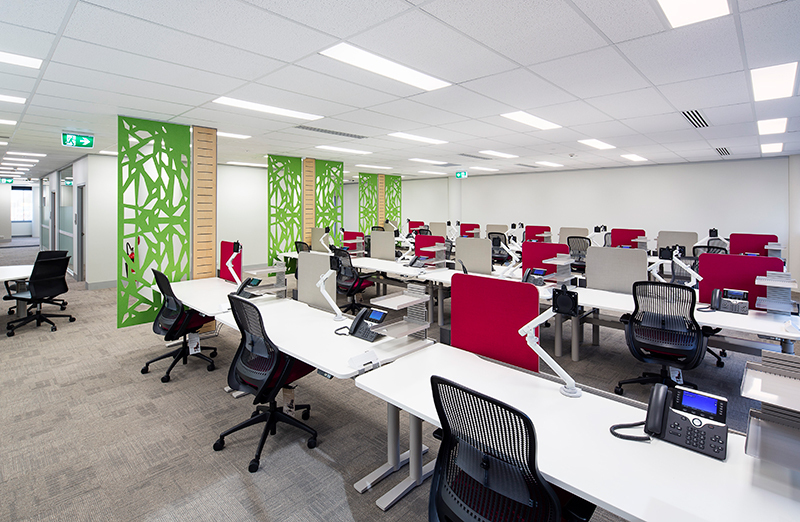 Formula has just completed another office fitout for NDIA; Burwood branch, this project forms part of their national rollout of tenancies as part of the National Disability Insurance Scheme (NDIS). 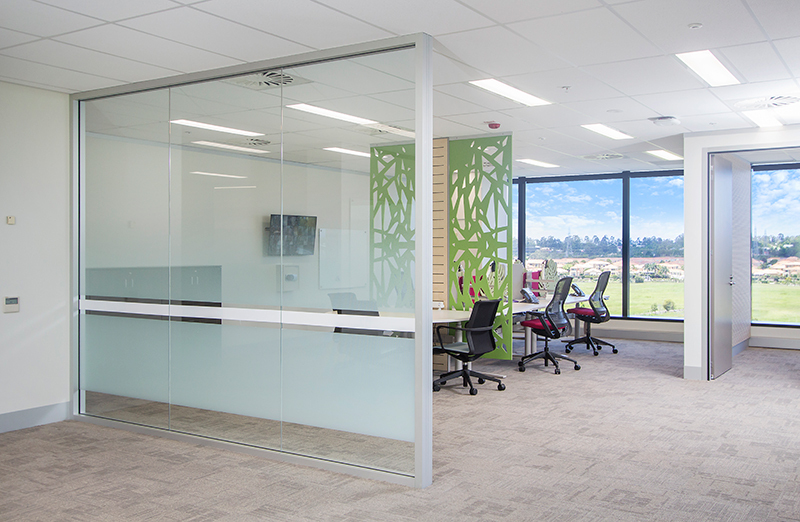 Bringing the coastal vibe inside with this cleverly designed co-working office space on the Sunshine Coast. 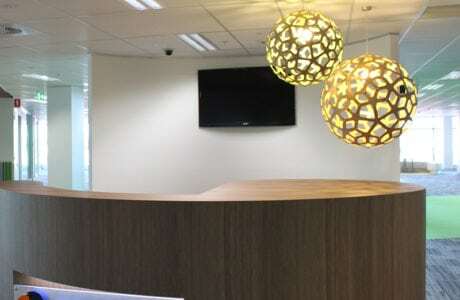 Formula was engaged as Head Contractor for the refurbishment of the client’s corporate headquarters in Hawthorn, Melbourne. The NDIA is an independent statutory agency, whose role is to implement the National Disability Insurance Scheme (NDIS), which will support a better life for hundreds of thousands of Australians with a significant and permanent disability and their families and carers. 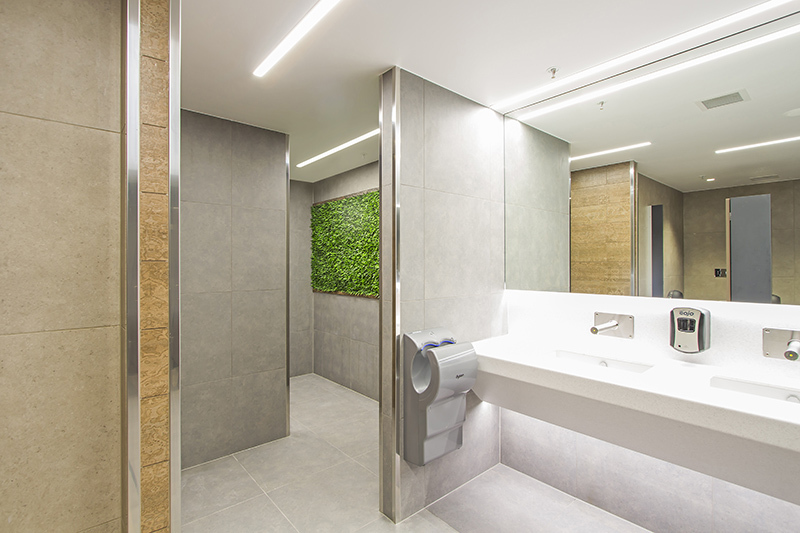 The client’s vision was to create a revitalized and inviting amenities environment within the Centre away from a very dated existing interior as well as upgrading specific fire services and PWD facilities during the build. 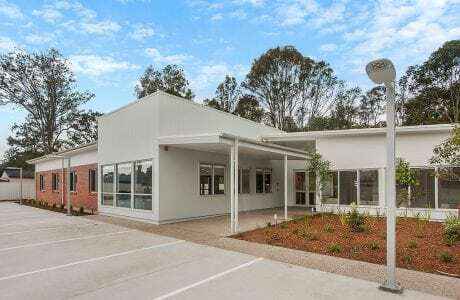 The Queensland Government’s goal is to enhance child safety in the Caboolture/Morayfield area with a new tenancy location in its heart that is solely dedicated to the "Child Safety Services" aspect of their departmental portfolio. 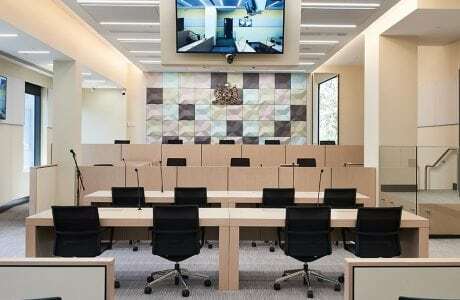 The redeveloped ground floor layout made more efficient use of the available space, while the Level 1 refurbishment incorporated the latest AV technology into the court room and created a contemporary and professional look and feel appropriate to the proceedings. 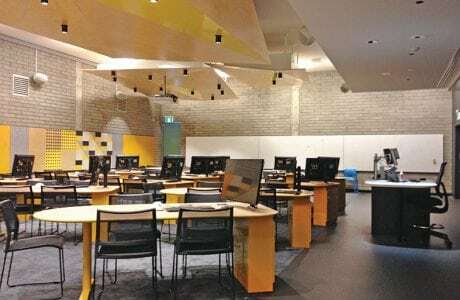 Formula delivered a multimillion dollar upgrade of lecture theatres and learning spaces at the University of Newcastle’s Callaghan Campus. LSIA is a national research institute undertaking research and facilitating networking and knowledge sharing activity to enhance quality teaching and learning. 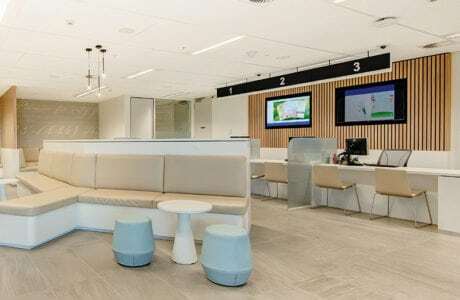 Australia’s leading provider of ophthalmic services, Vision Eye Institute (VEI), partnered with Formula and NTC Architects to expand their Auchenflower facility. 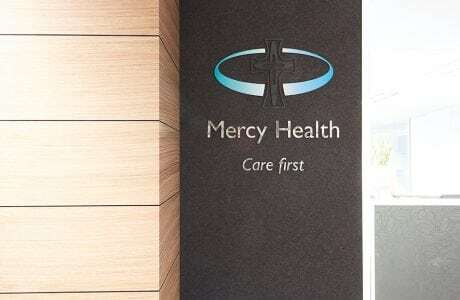 Collocating a number of key departments, Formula completed the new head office fitout for Mercy Health. 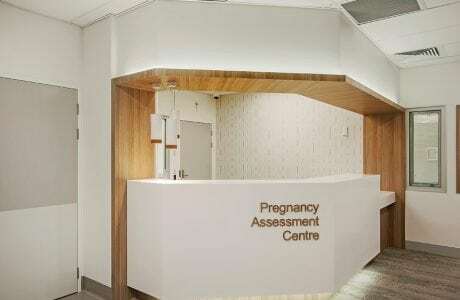 Formula’s unrivalled healthcare expertise, proven reputation and experience working with the Mater Hospital, lead to the seamless delivery of Australia’s first 24/7 Pregnancy Assessment Centre. 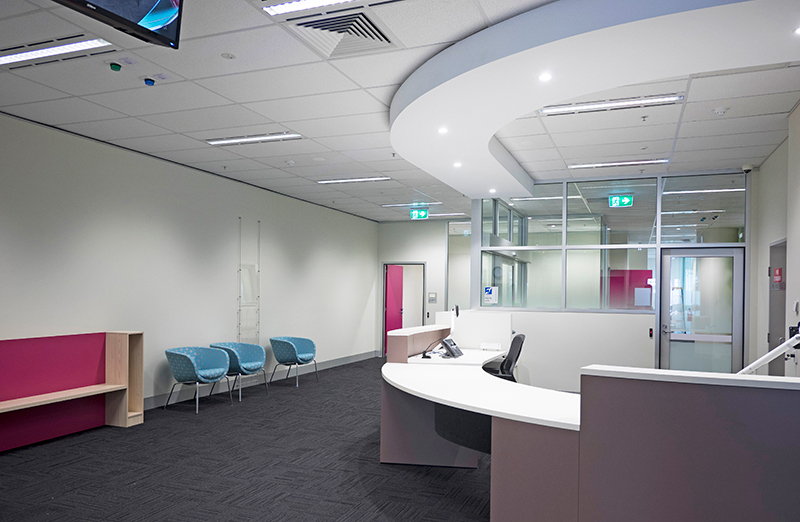 Over the course of 13 weeks, Formula was engaged on a construct only basis to fitout a new radiology clinic for Healthcare Imaging Services in Holmesglen Victoria. 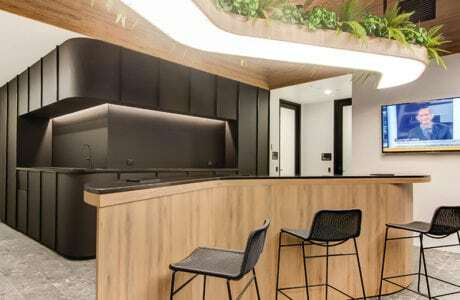 Following on from the successful delivery of pioneering teleradiology company Everlight’s Brisbane office fitout, Formula was engaged to deliver the fitout of their new 600m² Sydney International Head Office premises. Relocation of the existing Network Test & Measurement Labs – to a purpose built state of the art facility. 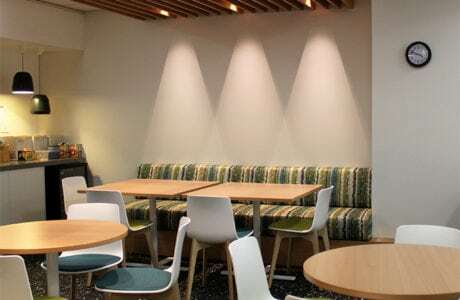 Changes to Ceilings & Lighting from the original design provided a substantial cost savings in the clients budget to allow for additional services. 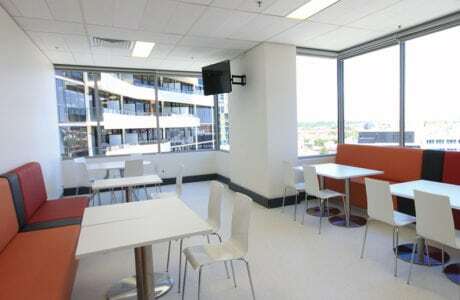 Formula is proud to deliver global pioneering teleradiology company Everlight Radiology's new Brisbane reporting centre. 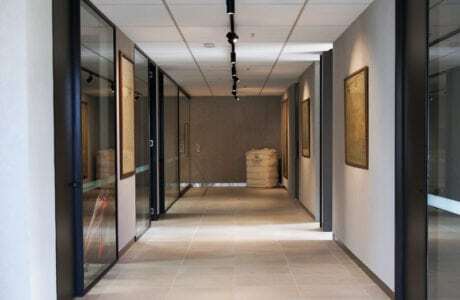 This high end commercial fitout for Life Flight covered two levels of the heritage listed Smellie building at 32 Edward Street in the heart of Brisbane’s CBD. 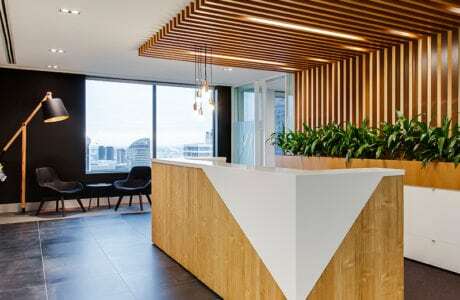 AJ & Co are a sophisticated and modern law practice that due to a period of unprecedented business growth, saw the opportunity to re-position their practice and their marketplace presence, through an expansion of their office to Level 18 at Waterfront Place. This project forms another in the national roll out of tenancies as part of the National Disability Insurance Scheme (NDIS). The scope of works included a full strip-out/ demolition of the previous tenancy making way for a complete new modern open-plan fitout. 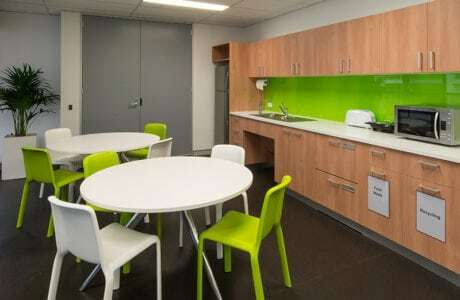 Formula have recently completed Stage 1 of the Aishling Village Centre for Centacare . A new building containing 8 bedrooms & ensuites, carer's accommodation, commercial kitchen, lounge and dining area, external car park with landscaping. Domo Collections is the Australian distributor of an expansive range of high quality, contemporary and traditional European furniture. 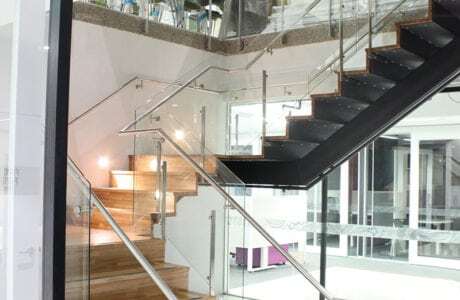 Multinational mining company Xstrata was located across multiple floors within 160 Ann Street, however a disconnect between business branches existed due to the absence of an interconnecting stair. 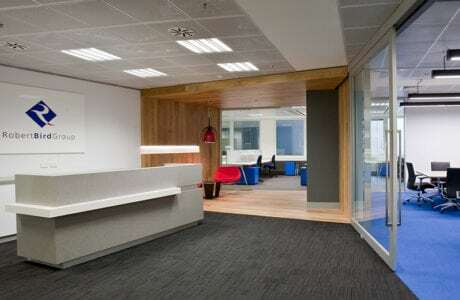 Coinciding with the new Xstrata brand launch, the company completely refurbished the three floor premises. 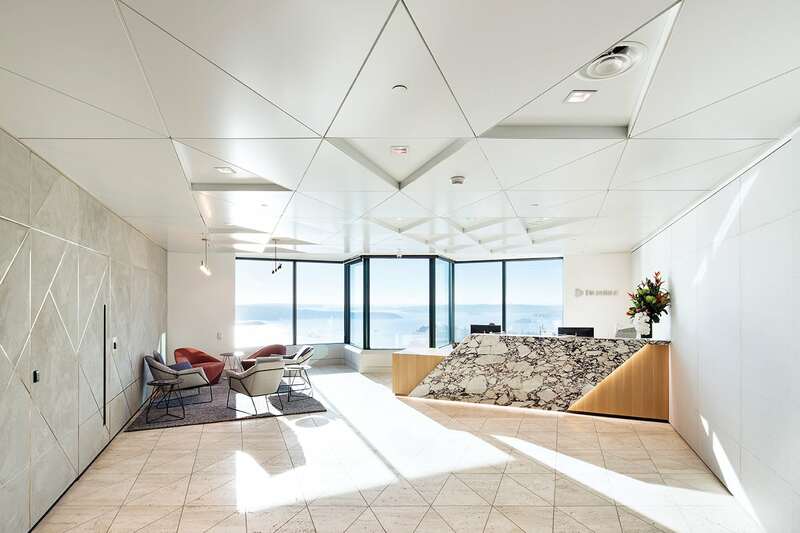 With a view to attract prospective tenants, Dexus Funds Management engaged Formula to refresh the twentieth floor of Waterfront Place. 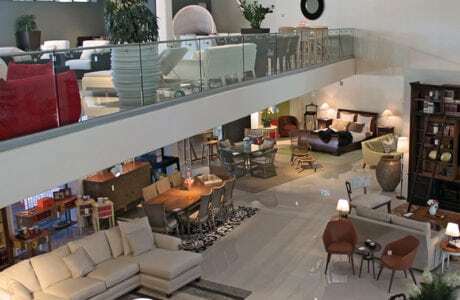 Constructed in the early 2000s the interior was transformed to a modern and inviting space that also significantly increased the useable floor space. 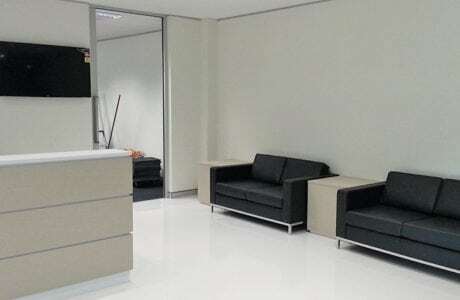 After several years of continued growth, Australian-based privately owned property development company, Walker Corporation relocated to a new premises. 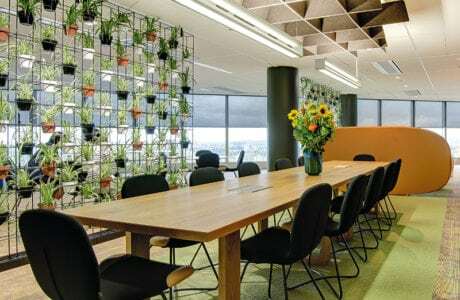 Upon relocating to a new workspace, growing multidisciplinary urban planning practice Urbis seized the opportunity to create an environment that reflected their business and plans for future growth. 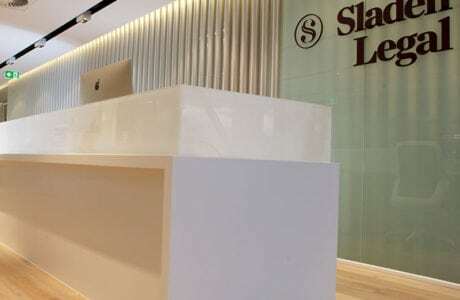 Melbourne based law firm Sladen Legal transitioned to a new office, under a new name (from Harwood Andrews), and to a new way of working in a fully open plan working environment. 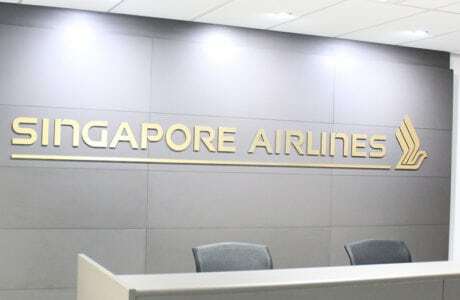 Singapore Airlines is the flag carrier of Singapore with bases across the globe, including Brisbane. Robert Bird Group is a global structural, civil and specialist construction engineering consultancy. RMB Australia is a financial services company offering investment banking, fund management, corporate banking, and advisory services. 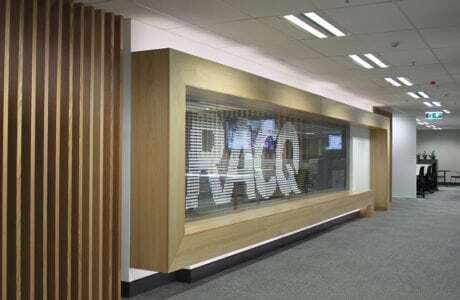 The Royal Automobile Club of Queensland Limited (RACQ) is a motoring club and mutual organisation, providing roadside assistance, insurance, travel, finance and other services to its Queensland members. 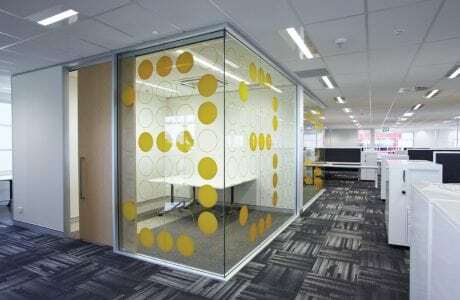 Financial services company PSK Financial were gearing up to expand their business when Formula was engaged to complete their new office fitout. 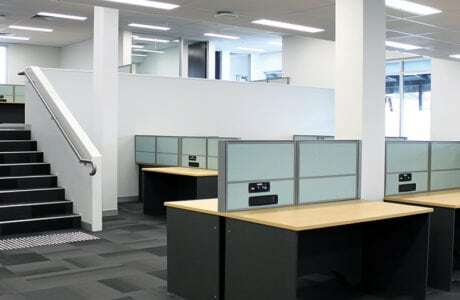 The Brisbane office of this multinational company relocated to the newly constructed 480 Queen Street, occupying levels 20 to 23. Resources and infrastructure services group Ostwald Brothers acquired a derelict industrial warehouse with the intention of transforming it to a unique, multi-level, modern commercial office. 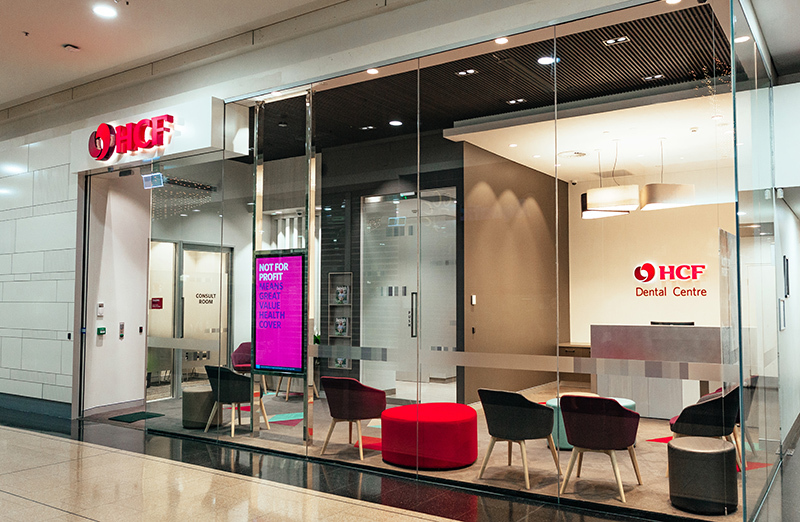 Formula was contracted to deliver a highly detailed, world class fitout for leading international technology company, Oracle. 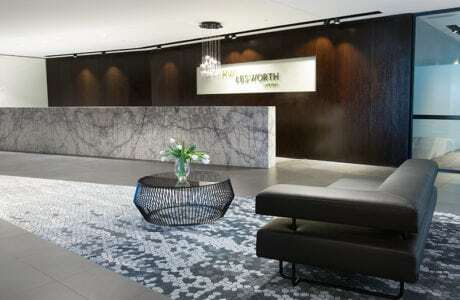 Formula was engaged to provide a new dual tenancy, commercial fit out in one of Brisbane’s better known Golden Triangle towers, the 'Blue Tower', to serve the needs of a growing property and finance group for the decade ahead. 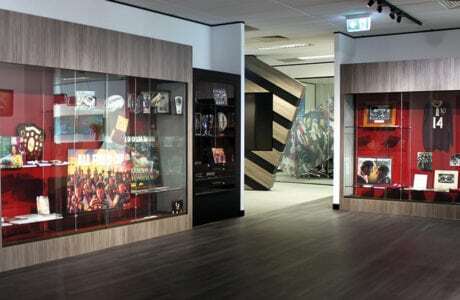 The QRL, having outgrown their premises at Suncorp Stadium, and the NRL wishing to develop a greater presence in Queensland, opted to collocate to a new facility in Milton. 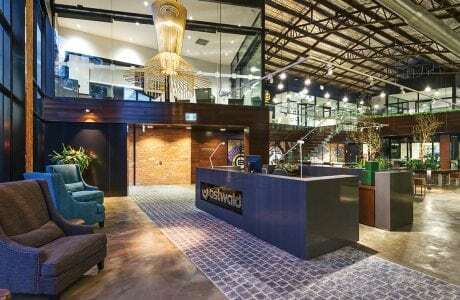 Brisbane architectural practice, ML Design relocated to a new premises within a former Spring Hill factory. Having completed the original adaptive reuse, Formula were well positioned to undertake alterations and remediation work to the aging structure. 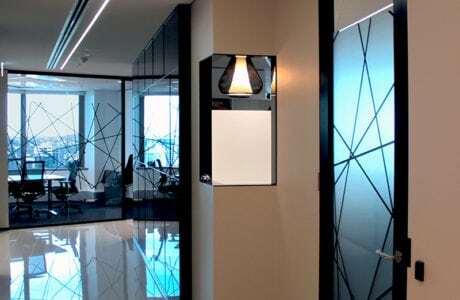 Mills Oakley is a commercial law firm with its head office based in Melbourne, Australia. 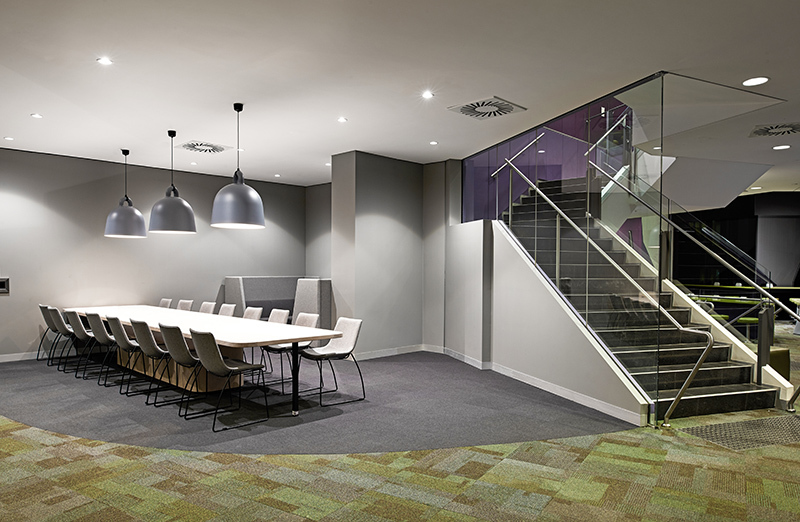 Formula worked alongside Graham Nicholas to provide Mills Oakley with first class office facilities with cohesive work spaces and collaboration zones to suit all staff and client needs. 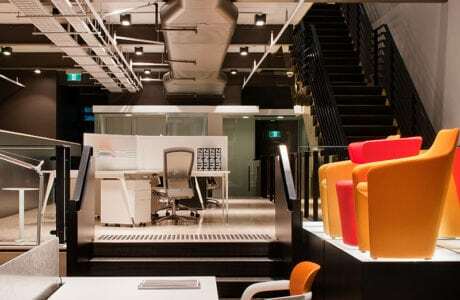 American multinational financial services corporation, Mastercard has relocated mostly IT staff from a former site to a new office in 333 Ann Street, Brisbane. 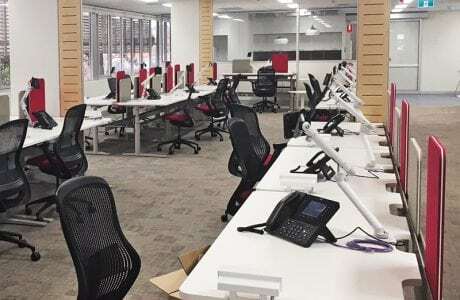 After a decade in their former tenancy, technology consultant Logicalis have relocated to a new premises that is reflective of Logicalis’ corporate requirements and improves employee satisfaction and productivity. 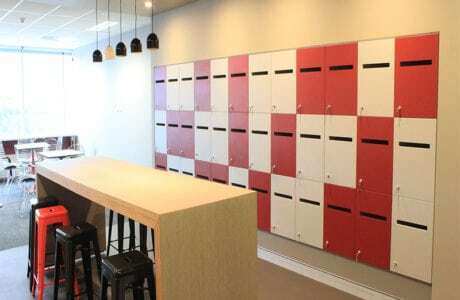 Relocating from their former premises, internationally recognised luxury wool supplier, Lempriere required a new office befitting of their reputation of providing unsurpassed quality. 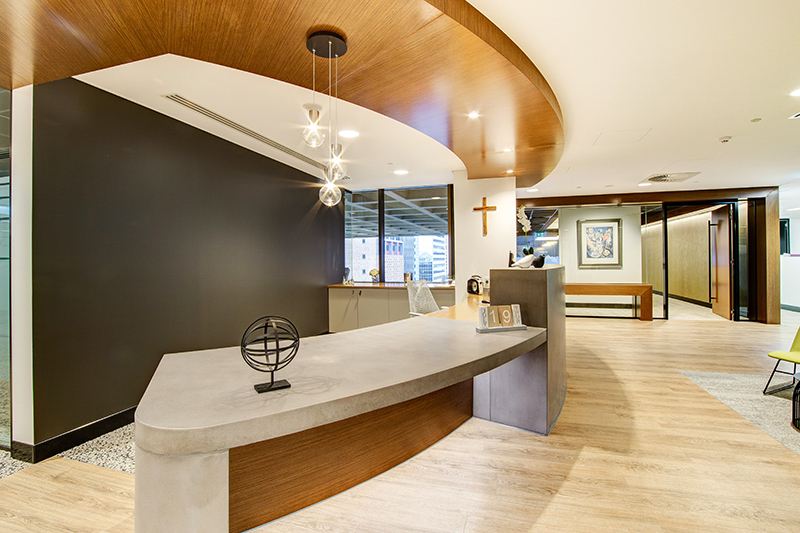 Catholic Education’s Melbourne Head Office, James Goold House, required a complex three stage refurbishment to improve its tired office space. 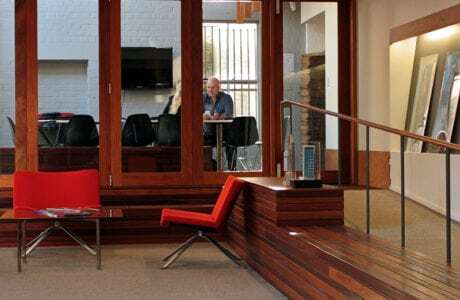 To encourage new, and retain existing tenancies within the aging 1 Julius Avenue, Formula was engaged to refurbish the lobby and public areas of the office building. 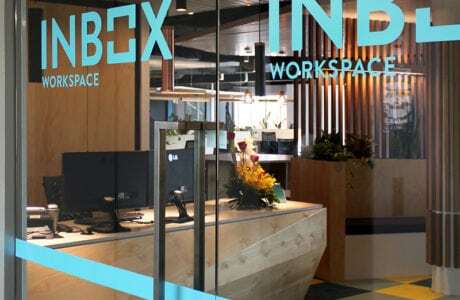 Investa is one of Australia's largest owners and managers of institutional grade office real estate, controlling assets worth more than $10 billion. 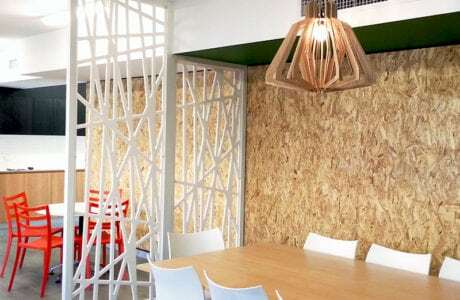 With many businesses now looking for flexible alternatives to traditional office tenancies, Formula delivered a stylish co-working space for Inbox Workspace. 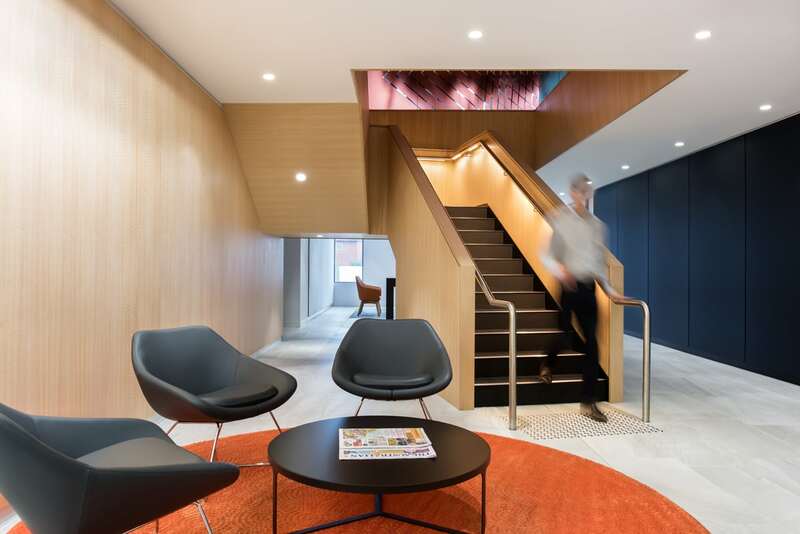 Formula was engaged as the head contractor to build the brand new head office for large legal firm HWL Ebsworth, in Melbourne. 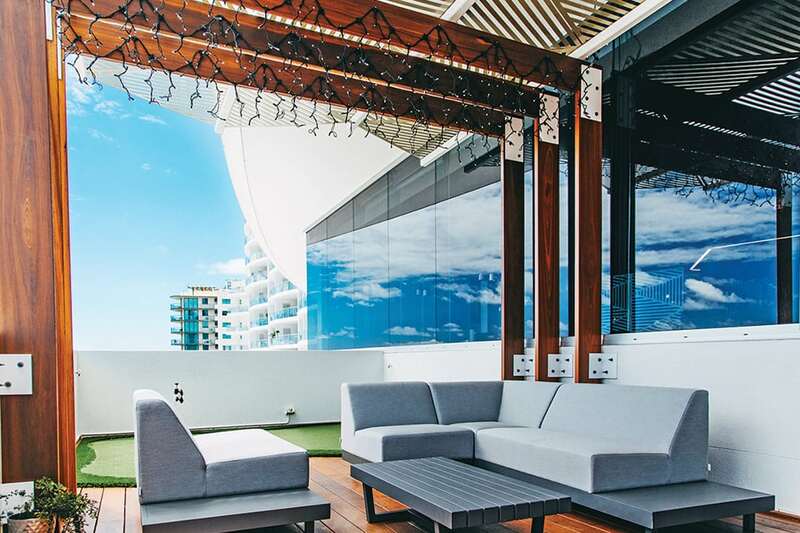 The new HWL Ebsworth office is third built by Formula and is a visually stunning, premium grade fitout that maximises the 360° views of Brisbane and surrounds. 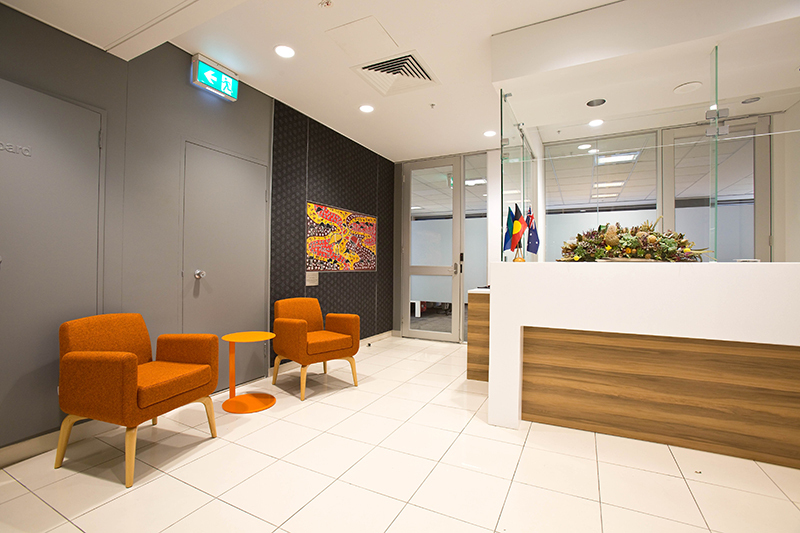 HWL Ebsworth is a commercial law firm that operates nationally and is considered one of Australia's leading national law firms. Hay Group is a global management consulting firm with over 87 offices internationally. 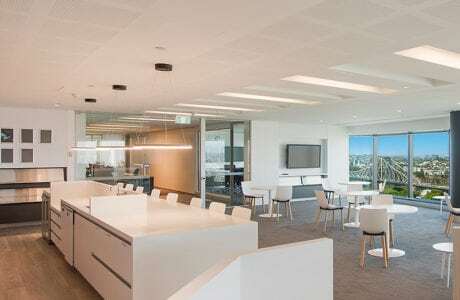 Global investment firm Hastings Fund Management required a new, larger space to accommodate their Head Office in Melbourne. 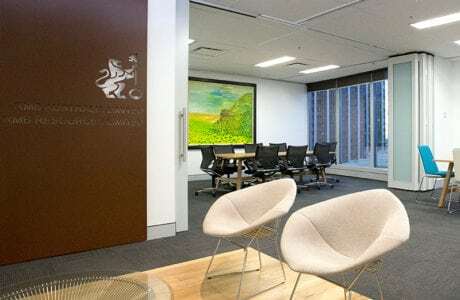 Gadens is a leading, independent top 10 Australian law firm, refurbishing their Melbourne office's front of house to match their reputation. 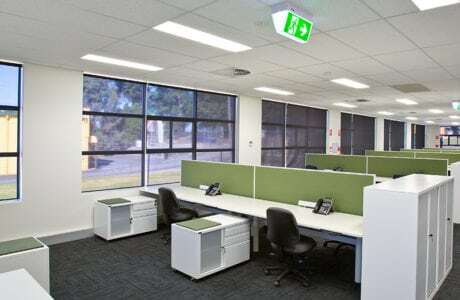 Eyelighting is an Australian company specialising in the supply of state of the art lighting solutions in both the industrial and commercial markets. 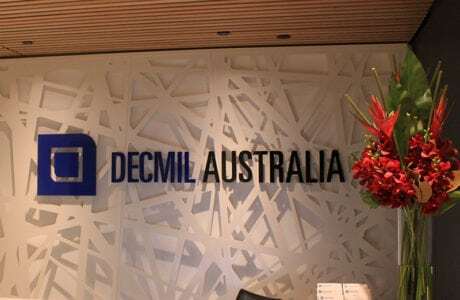 Formula partnered with Nettleton Tribe to deliver a new office environment for construction and engineering firm Decmil. 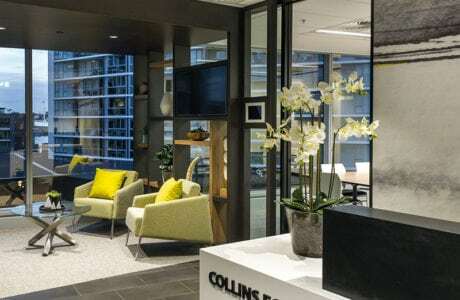 The brand new headquarters for Brisbane-based Collins Foods follows on from their successful push into New South Wales and Victoria and reflects their renewed focus within the industry as well as new international opportunities. 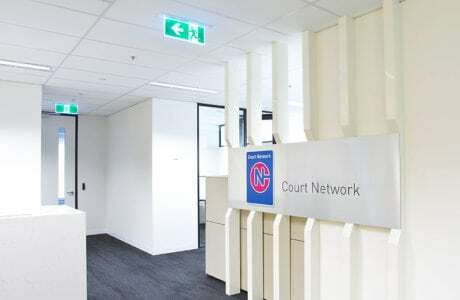 Formula partnered with project manager Montlaur to deliver a new look office fitout for Court Network, a volunteer justice support agency. 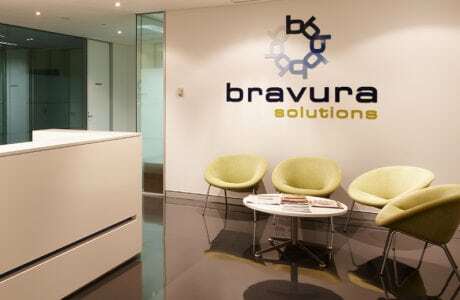 Software and professional services firm, Bravura Solutions' Sydney CBD office was refurbished to compliment the company's growth and future direction. 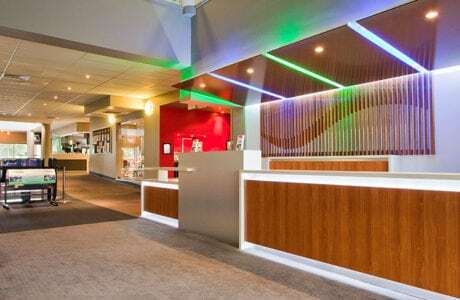 Prior to Denison Funds Management's planned sale of the building, Formula was engaged to complete extensive renovations to Blacktown's most prominent office building on Flushcombe Road. 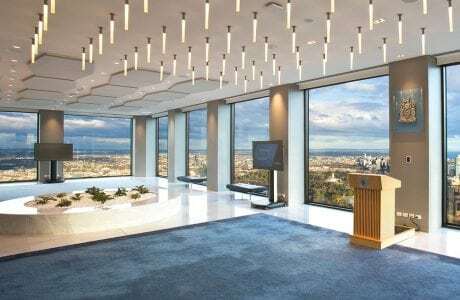 Allianz Insurance is the world's largest insurance company, with the company's reputation commanding an equally impressive office space. 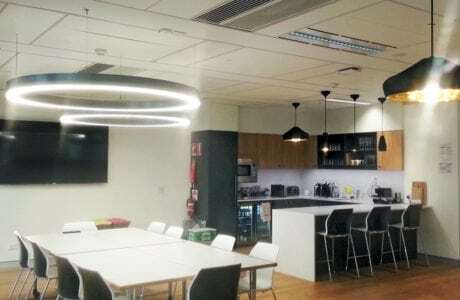 Catering for an increasing team, Formula worked with Harry Poulos Architects in a design and construct arrangement to provide Airservices Australia with a necessary office expansion. 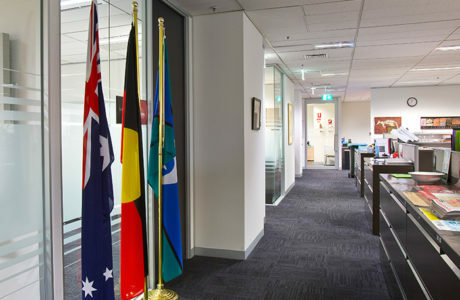 The new Airservices Australia office meets the needs of an expanding team with 65 staff relocating to the new site. 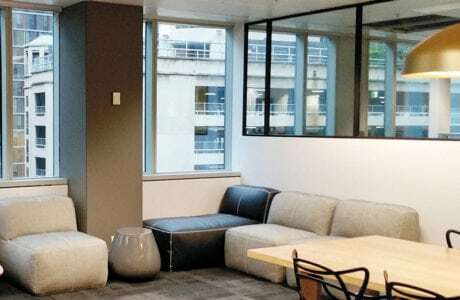 The new Aegis Media office is located within Brisbane's preeminent Gasworks precinct and sees the collocation of a number of the brands businesses under the same roof. 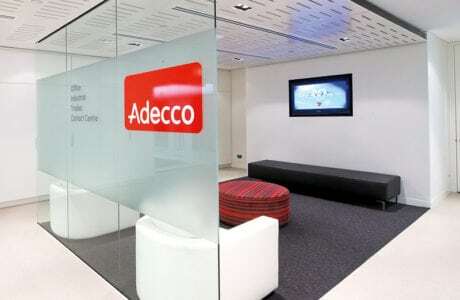 Adecco is the largest staffing firm in the world and a Fortune Global 500 company. Formula was engaged to complete the design and construction of a number of sites within their national office roll out programme. 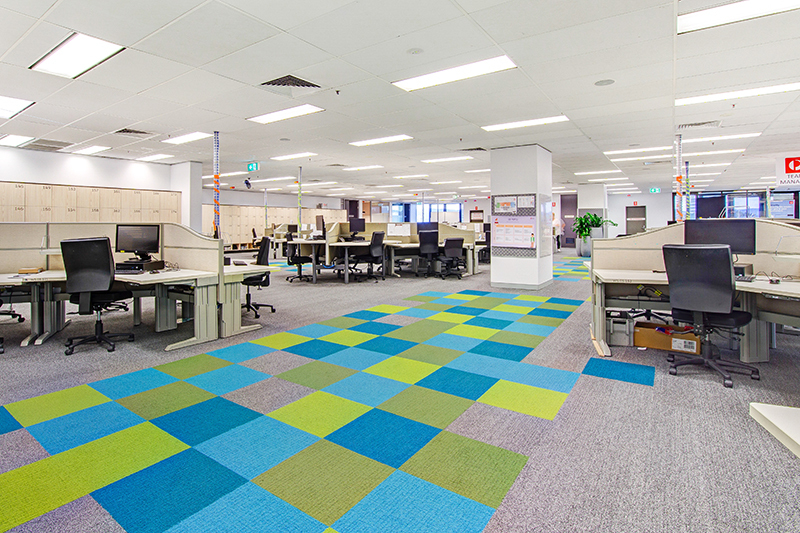 As part of the ABC’s Masterplan to evolve the ABC Ultimo Centre to a flexible working environment, Formula was engaged as the Construction Manager to deliver the first stage prototype fitout on Level 5. 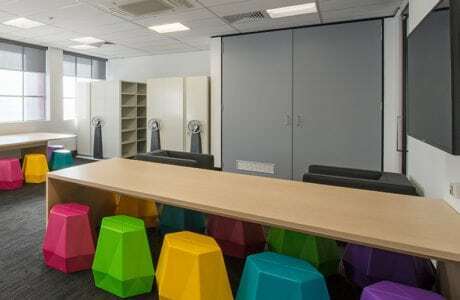 To accommodate staff growth, the ABC Four Corners and Giggle and Hoot offices required refurbishment and expansion. 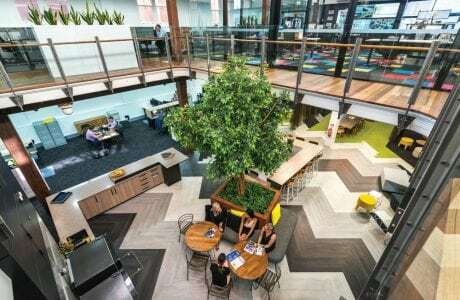 Aiming to position the recently refurbished 127 Creek Street as the best B-Grade office building in the Brisbane market, Formula was engaged to complete a premium End of Trip facility. 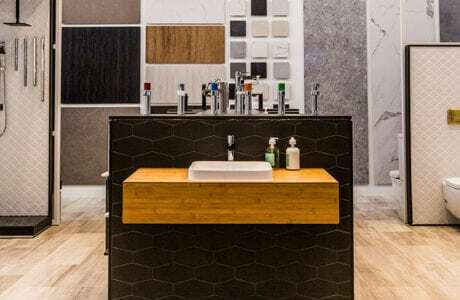 Leading commercial manufacturer, Zenith, required a new flagship showroom in Melbourne that reflected not only their well-regarded position within the industry, but also the quality and style of their products. The Beaumont Studio is a beautiful extension of Beaumont Tiles created for commercial and premium projects, from which clients can handpick tiles, stone and bathroom ware. 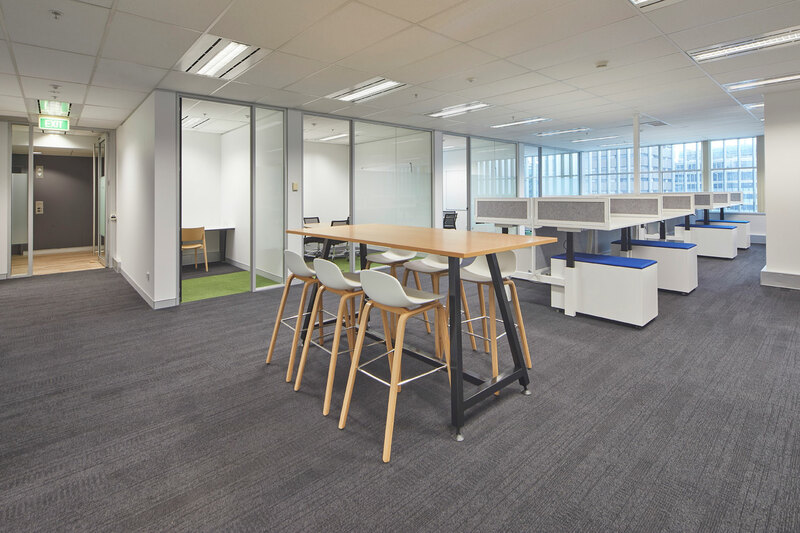 Partnering with Edge Project Management Formula delivered a complete fitout solution for Australian Pensioners Insurance Agency at its new premises in Mornington, Victoria. Formula was engaged by Cbus to construct the residential display suite for the proposed 443 Queen Street high-rise residential development. 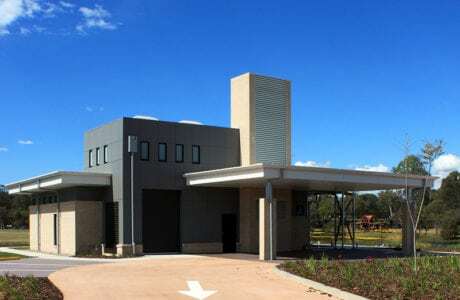 Located within the Nudgee Cemetary, the new cremation facility provides a dignified and respectful service and also uniquely offers Brisbane's only Catholic crematorium. The Holy Spirit Seminary is the place of learning and spiritual advancement for the seminarians that will take up their spiritual mission in Queensland and beyond. 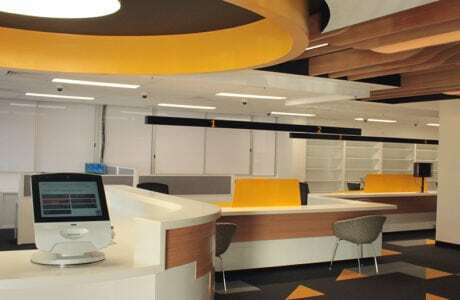 Modelled on similar ideas internationally, the Translink Centre for Excellence is a one-of-a-kind education facility in Brisbane. 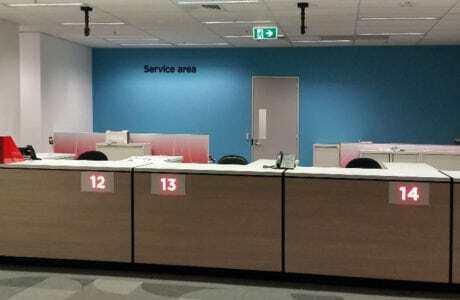 The new Queensland Department of Transport and Main Roads (TMR) Customer Service Centre is a test project to guide all future TMR customer service centres throughout Queensland. 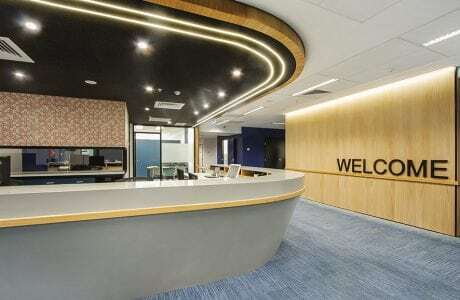 Formula has delivered a contemporary and functional fitout for the Lendlease Tyco Joint Venture commercial offices within the RMS Rockdale depot. 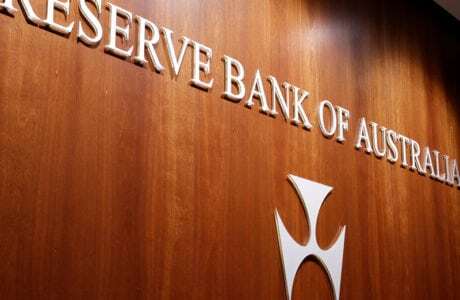 Formula was engaged to undertake the refurbishment of the Reserve Bank of Australia's existing tenancy. 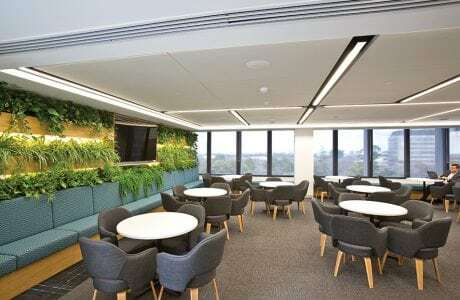 Formula was engaged to refurbish the existing Australian Electoral Commission space, spread across one and a half floors in Sydney's CBD. 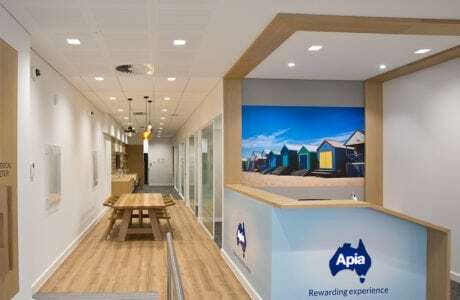 Keeping up with the latest technology and new methods to deliver effective customer service, Roads and Maritime Services underwent a significant refurbishment. 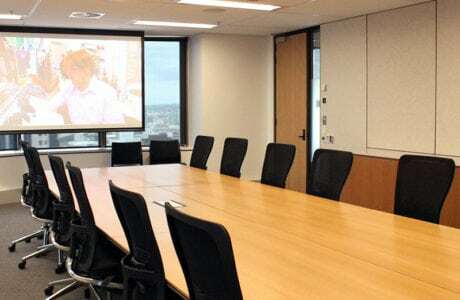 Former Governor-General of Australia, Dame Quentin Bryce relocated to a new office space within the Queensland University of Technology Gardens Point precinct following the expiration of her term in March 2014.s. 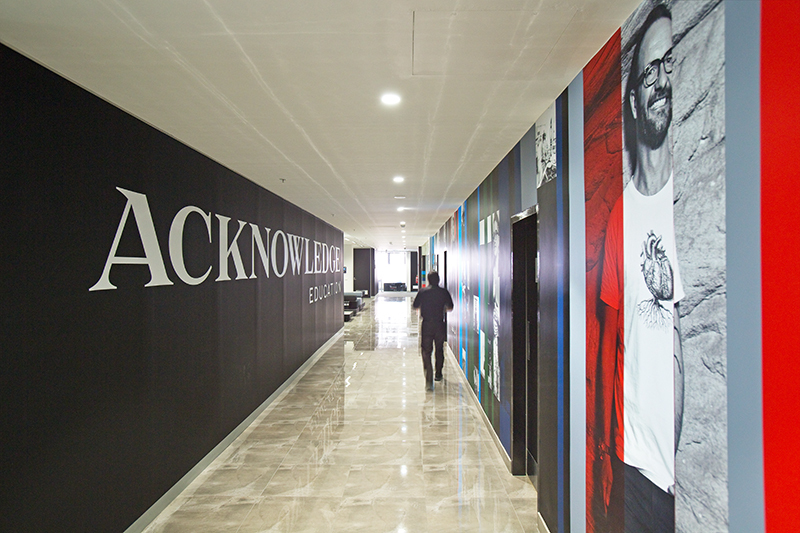 Formula worked closely with the client and HBO+EMTB to deliver a large office fitout unique to the end user’s needs. 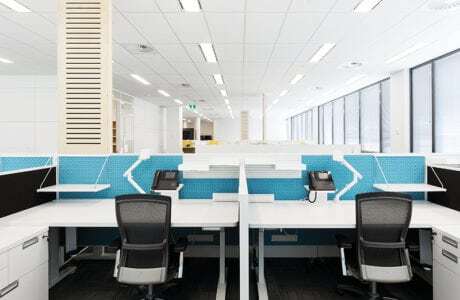 Working with designer Innermode, Formula completed the new fitout for the Department of Environment and Primary Industries within their brand new premises. 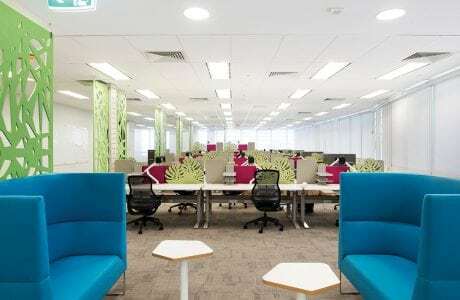 Working within their existing premises, Formula collaborated with the Department of Agriculture and project manager DTZ to revitalise the office space. 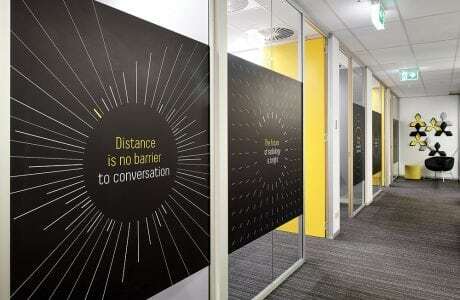 Formula has provided the Australian Financial Security Authority with a contemporary workspace that befits its standing in the financial community and the position of trust it holds in the business sector. Formula was appointed the Design and Construct contractor for the Queensland Government’s Registry of Births, Deaths and Marriages. 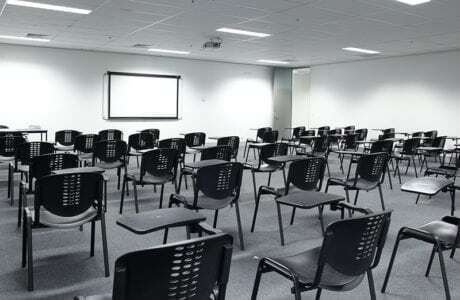 Formula re-purposed the University of the Sunshine Coast (USC) premises in SouthBank providing facilities for teaching, administration and students for the delivery of a range of USC courses. 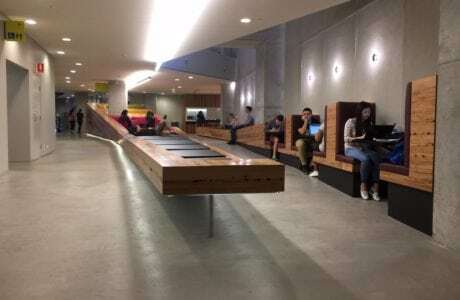 Formula was engaged to construct a new informal learning space and student locker area within the university’s Engineering and IT building. 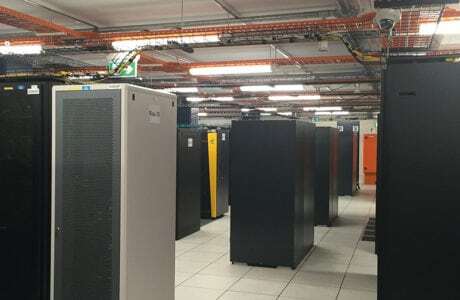 Formula collaborated with Conrad Gargett to provide the client with a refurbished, more secure and fire resistant data centre. 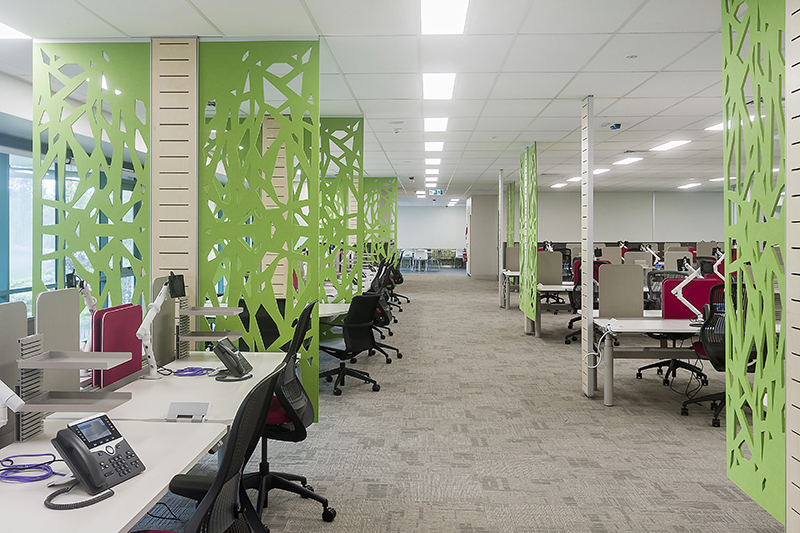 Formula proudly worked alongside QUT and Vabasis Architects to refurbish Level 5 of the Gardens Point campus library. 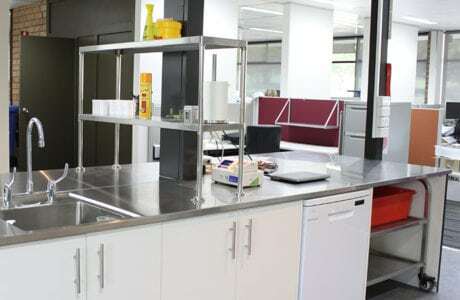 Formula worked with DWP Suters to provide the adaptive reuse of a former engineering laboratory at the then Brisbane Technical College, which has high heritage significance. 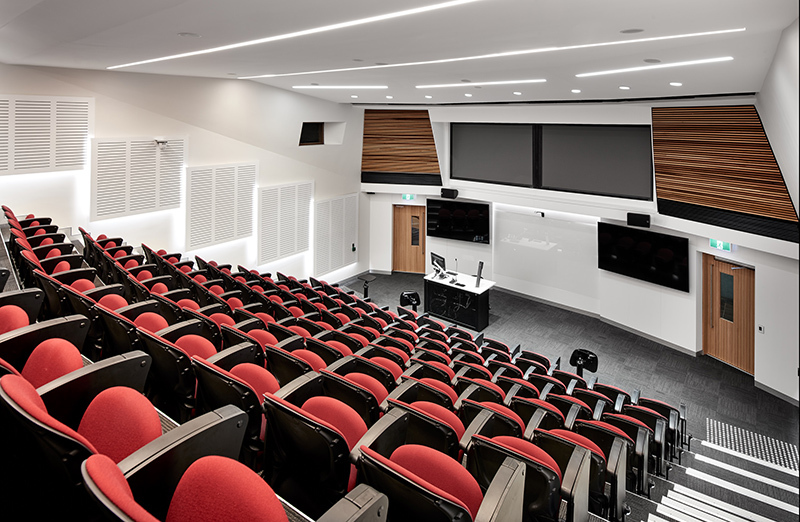 Formula was engaged to undertake the revival of two existing lecture theatres into new, interactive teaching spaces with flexibility to transform into a team focused environment. 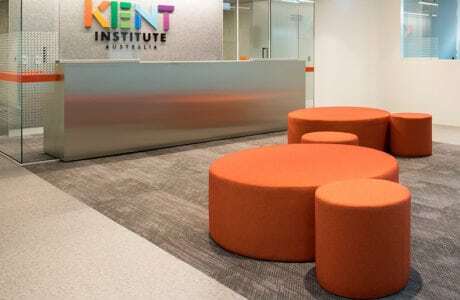 Kent Institute required a new, state-of-the-art campus to support their students journey to become leading IT and business professionals. 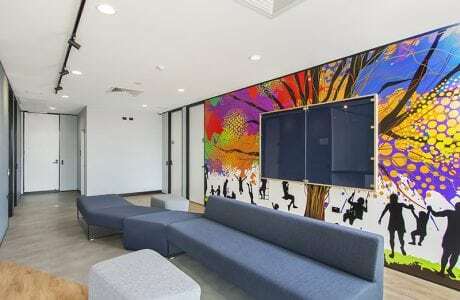 Darwin based tertiary education institution, Charles Darwin University established a new Melbourne campus as a strategic investment specifically targeting international students. 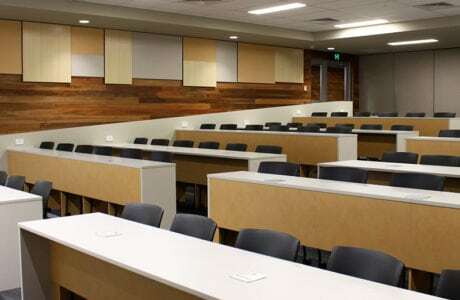 Formula was commissioned to construct three new education facilities that catered to the education providers ever expanding needs. 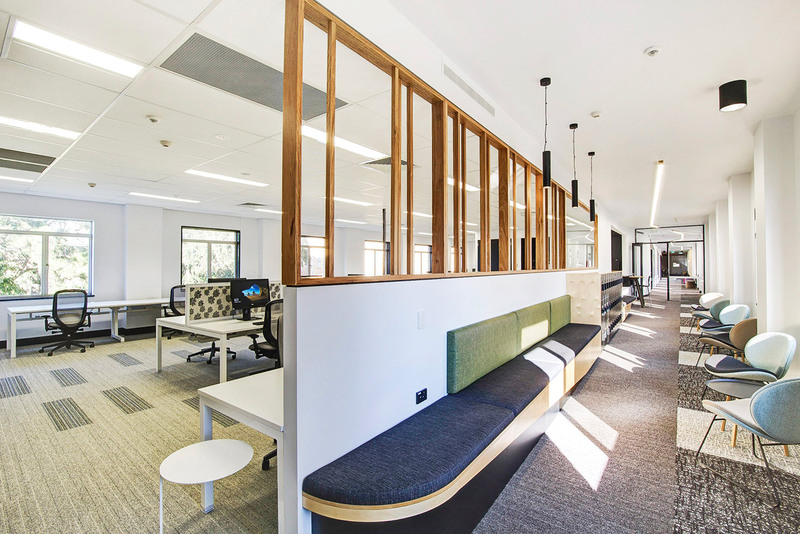 Formula teamed up with Cube Design to complete an office and teaching space at the new Charles Darwin University Sydney campus. 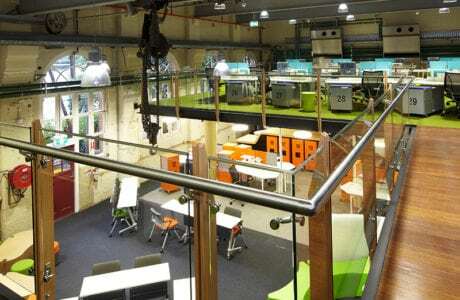 Designed for teaching technical skills to develop and support sustainable social, economic and environmental outcomes in business, industry and the community. 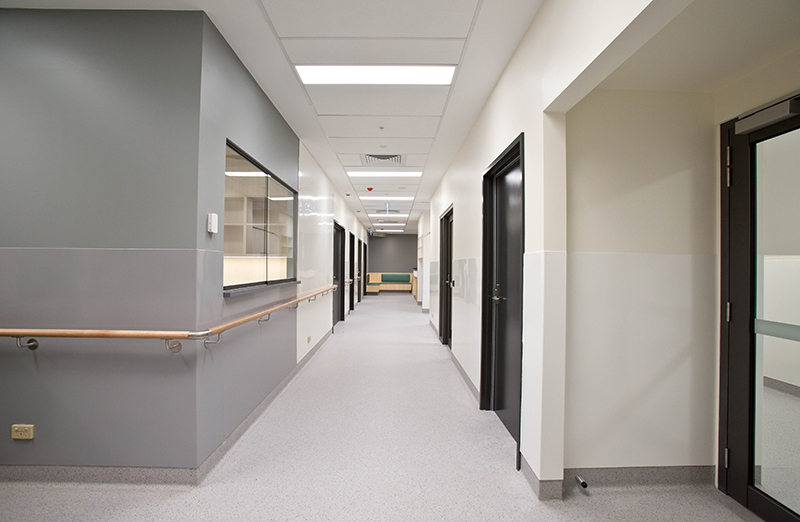 The Nurse Training Facility is a simulation-based learning environment where students develop and consolidate clinical skills and knowledge in a variety of simulated healthcare settings including in-hospital and community environments. 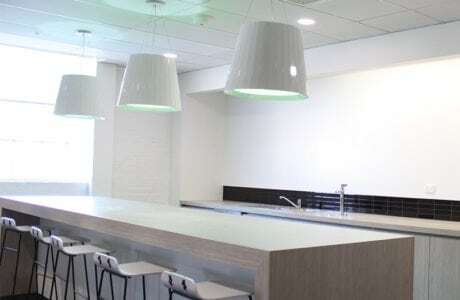 Sanitarium engaged Formula to provide new Development and Innovation offices, meeting rooms, and test kitchens. 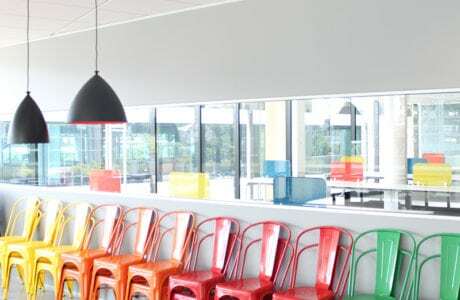 Since 2007, Formula Interiors has completed a number of projects for Logan Sports Club. 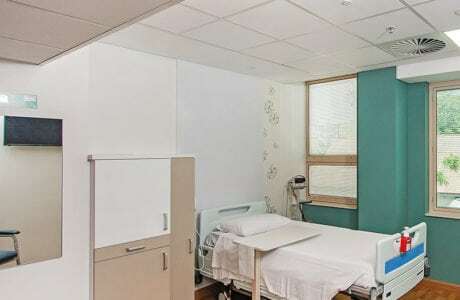 Formula was engaged to fit out a ward designed for patients in the palliative care phase of their lives. 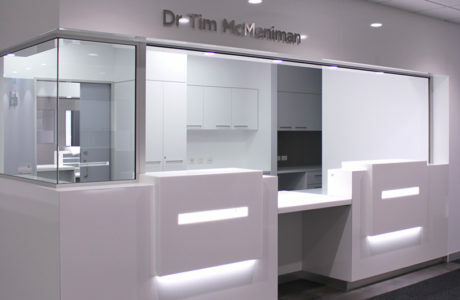 Formula was engaged to refurbish the existing obstetrician suites on the busy ground floor of St Vincent’s. 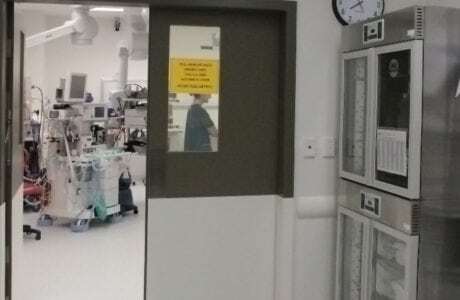 Formula was engaged to refurbish and upgrade two conventional operating theatres and their accompanying service areas plus fit out a pioneering, hybrid operating theatre . 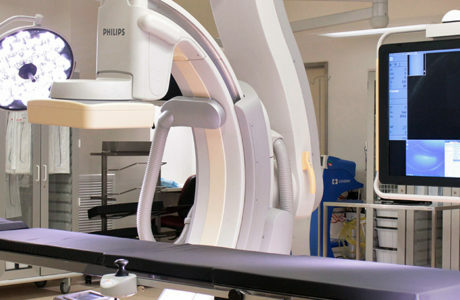 The establishment of St Andrew's Cardiac Catheter Laboratory was an important milestone for the Ipswich and West Moreton regions, eliminating the need for patients to travel to Brisbane for cardiac angiography. 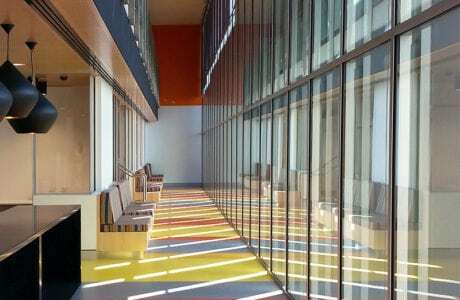 Following the opening of the Lady Cilento Children’s Hospital, Mater Health Services sought to re-purpose the former Mater Children’s Hospital. 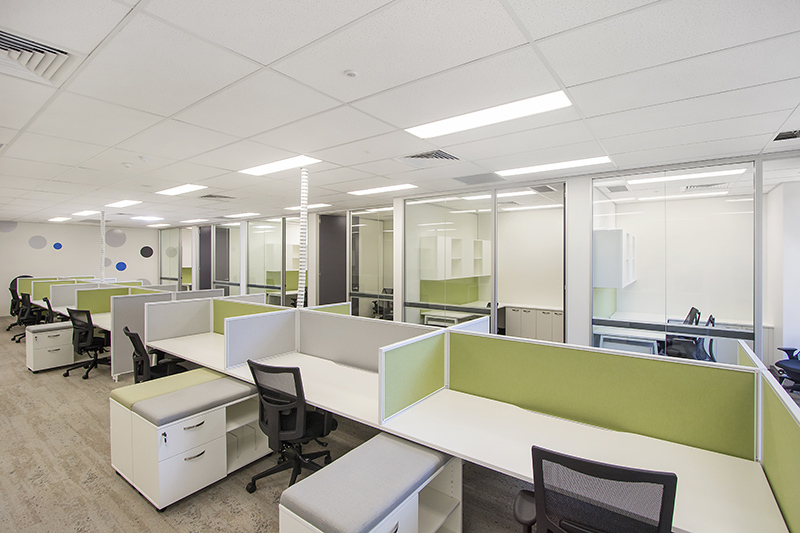 The objective of this project was to merge the Mater Foundation’s business units from five previous locations into a single tenancy. 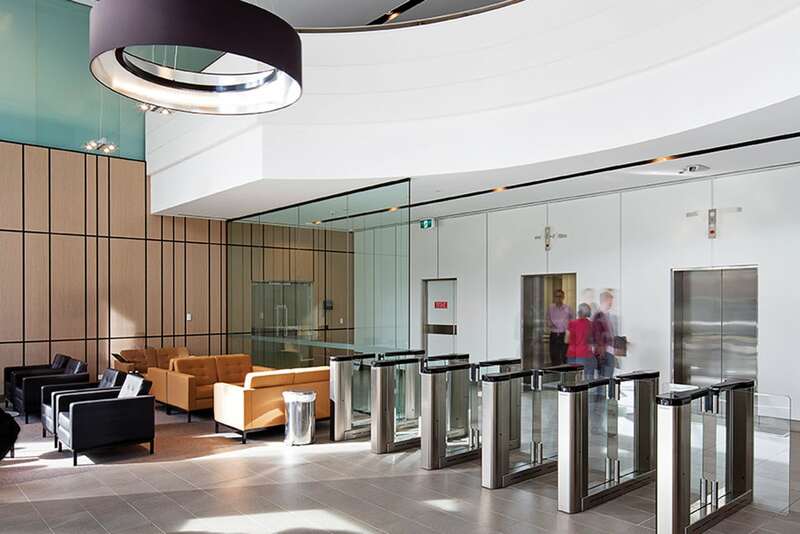 Formula was appointed the Head Contractor to undertake the refurbishment and fit out of the Mater Corporate Service Building (formerly the Mater Mothers Hospital), Levels 3, 4, 6 and 7. 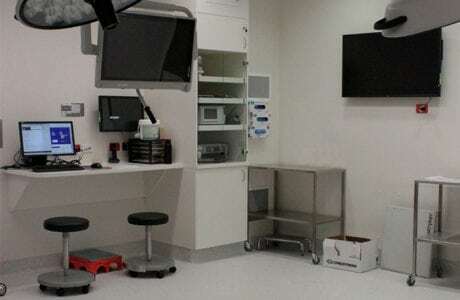 A new level of care for patients has being provided with the state-of-the-art fit-out and equipment facilities at the new Mater Cancer Care Centre at the Mater Hospital complex in South Brisbane. The heritage listed Aubigny Place (c1910), was refurbished by Formula to provide brand new office space for the Mater Hospital. 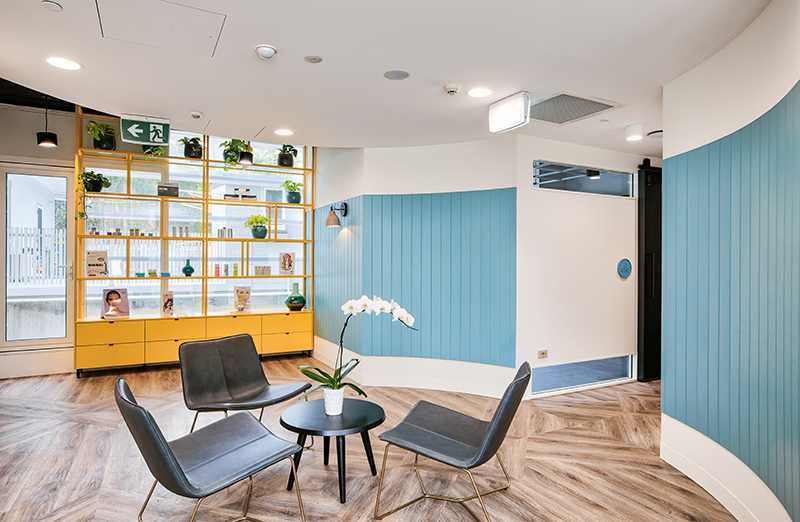 Formula and Clui Design partnered with YFG Shopping Centres to create a new and inviting medical centre to replace the ageing facility that had served the local community for many years. 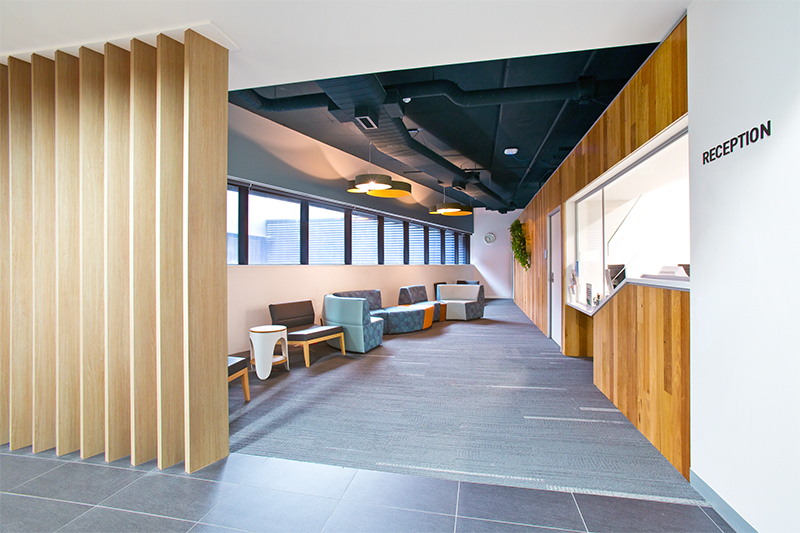 Under a design and construct arrangement, Formula refurbished and reconfigured the multi-tenanted Level 2, Cassselden Place. 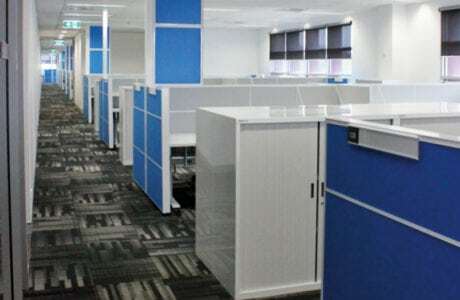 The headquarters of Carefusion, a global medical technology corporation, underwent a significant refurbishment while remaining occupied and operational. 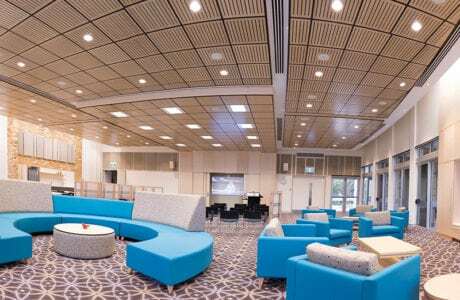 Addressing the increasing need for mental health services across the country, Caloundra Private Hospital transitioned to a specialist mental health facility. 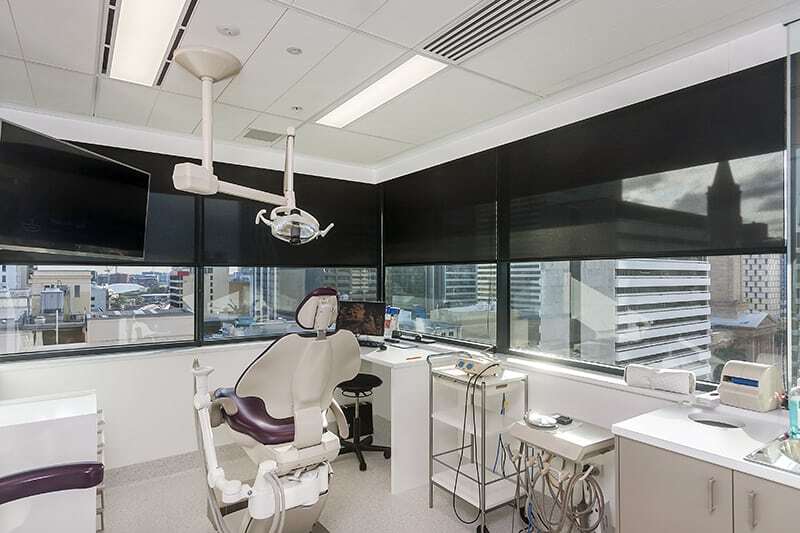 Renowned for expertise in completing detailed and highly specific health projects, Formula was entrusted to complete the new operating theatre at Brisbane Private Hospital. 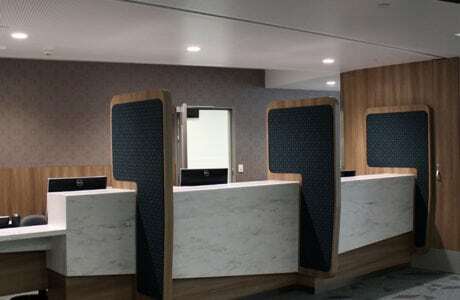 In preparation for the new In-patient Unit at Brisbane Private Hospital, Formula completed an extensive early works project to redesign public access. 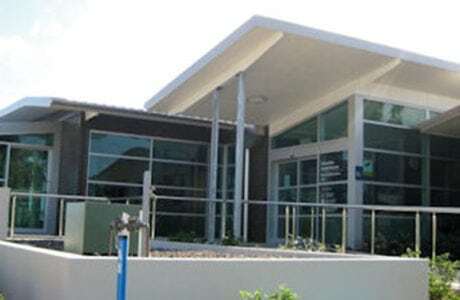 For operational reasons, BOSMC was relocated within the functioning Brisbane Private Hospital. 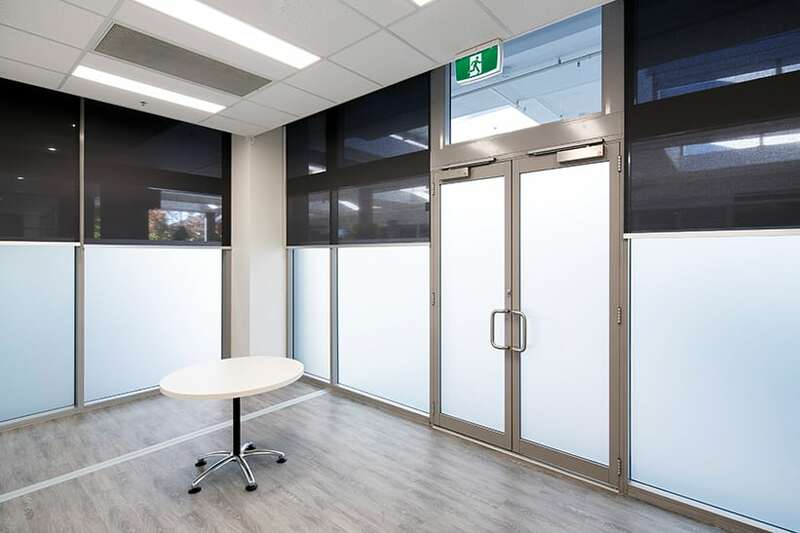 The Strathpine facility was a complicated medical fitout due to the architecturally designed aesthetics and highly detailed custom joinery while maintaining strict medical standards. 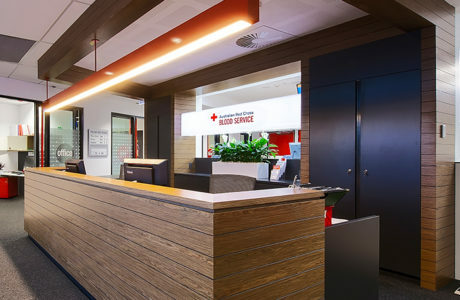 Formula completed the brand new fit out of the Australian Red Cross Blood Service Southport Donor Centre. 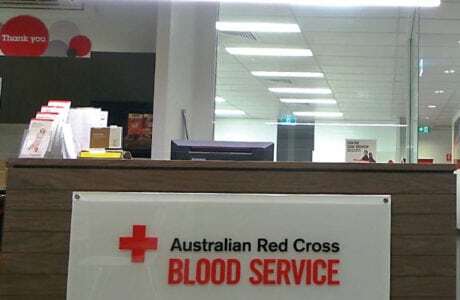 Wanting to engage with more donors and collect more blood and plasma donations from Dubbo and its surrounds, the Australian Red Cross Blood Service refurbished the existing Dubbo Donor Centre.